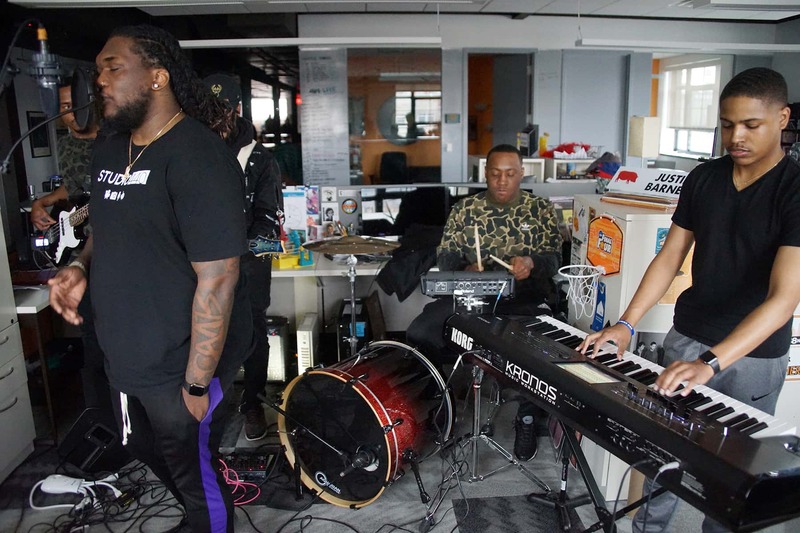 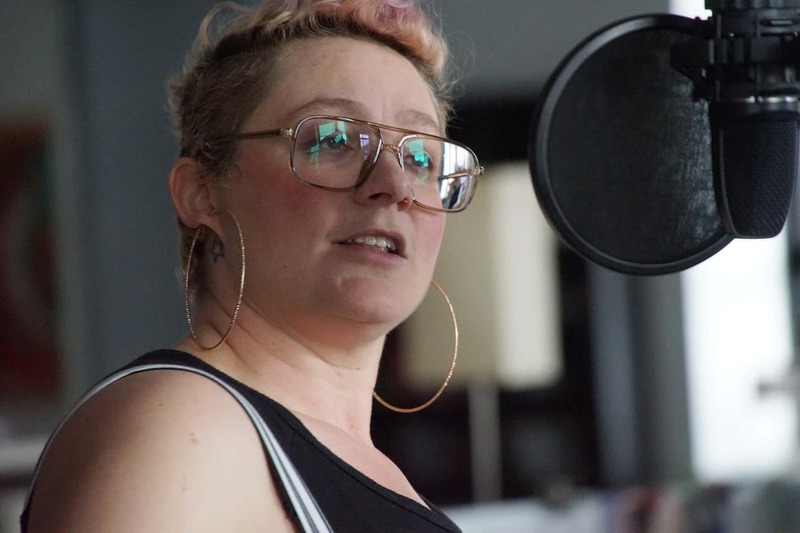 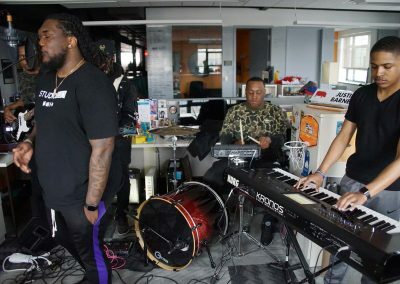 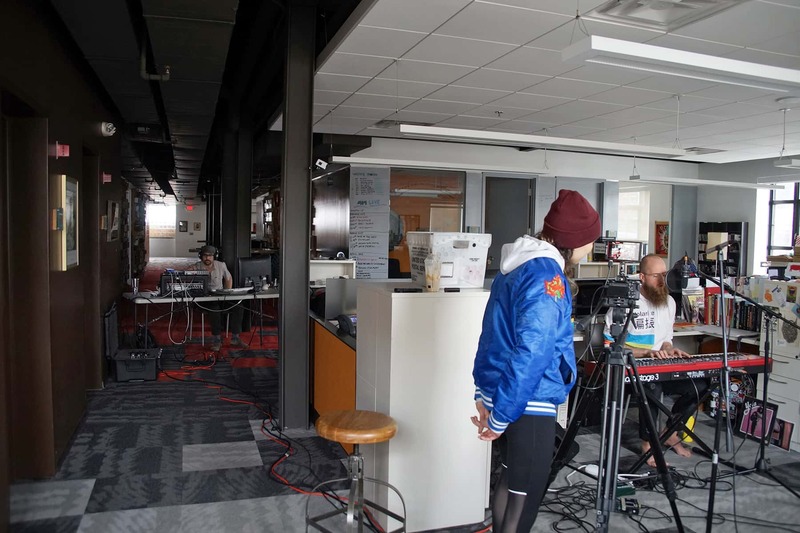 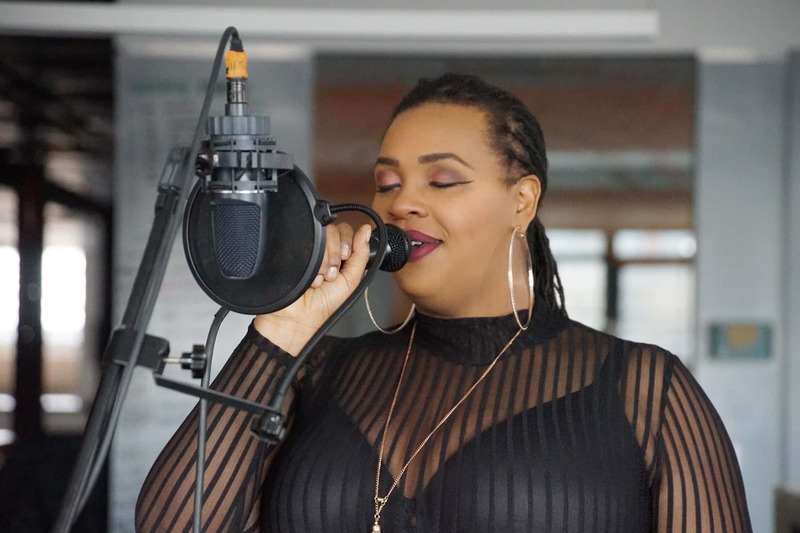 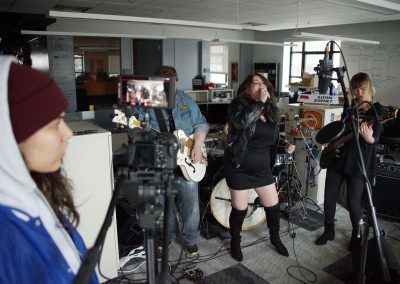 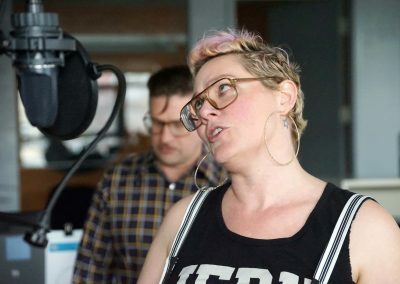 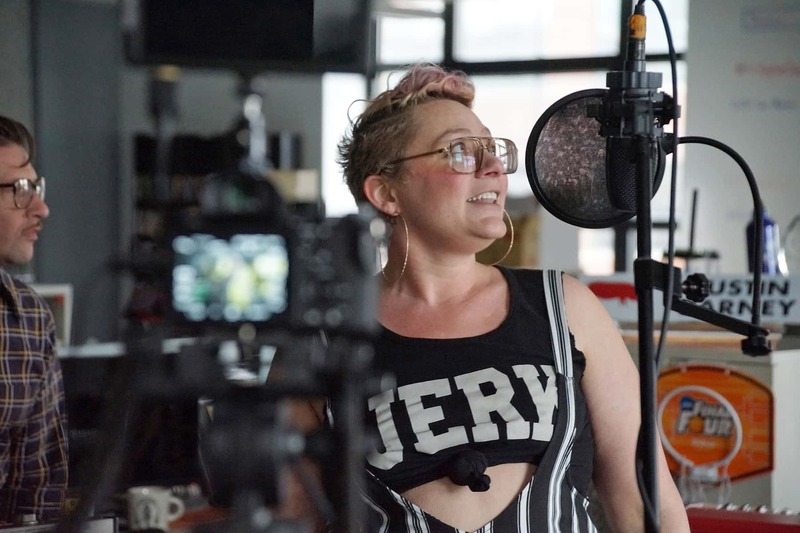 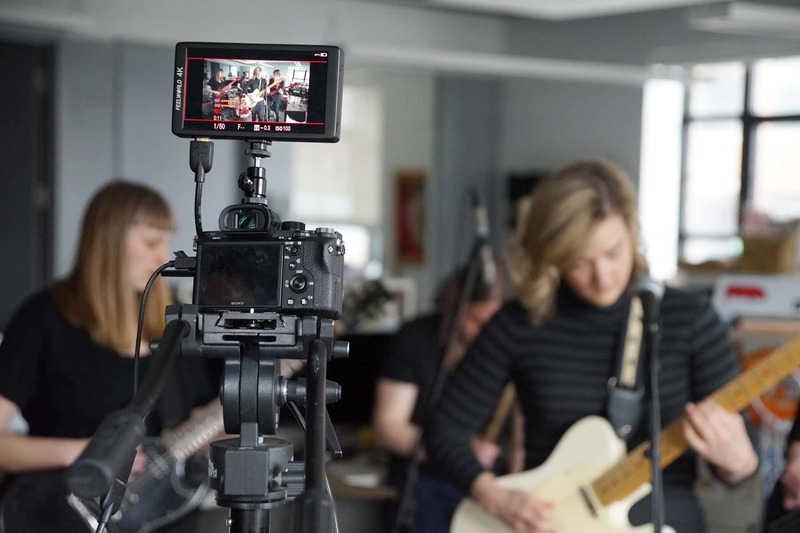 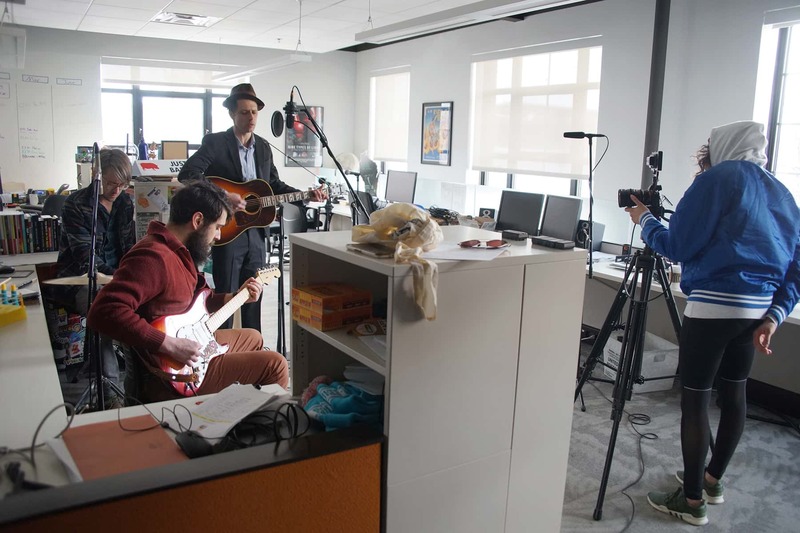 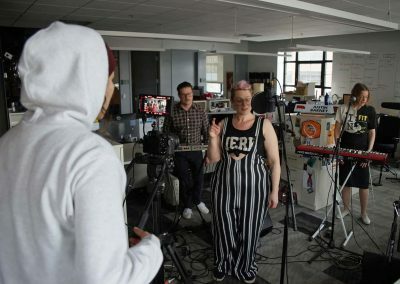 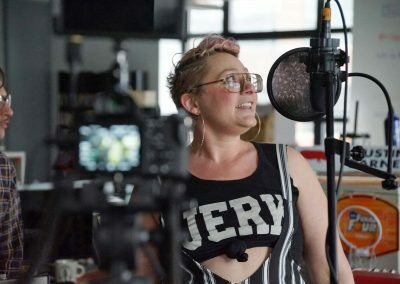 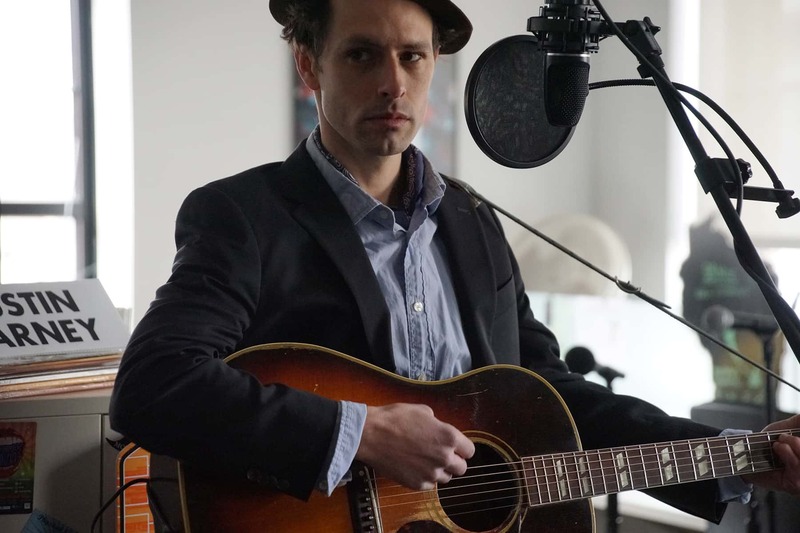 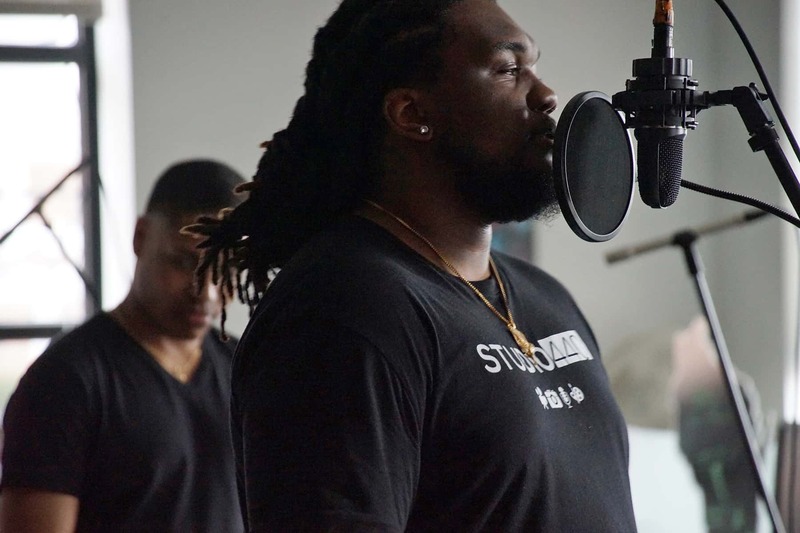 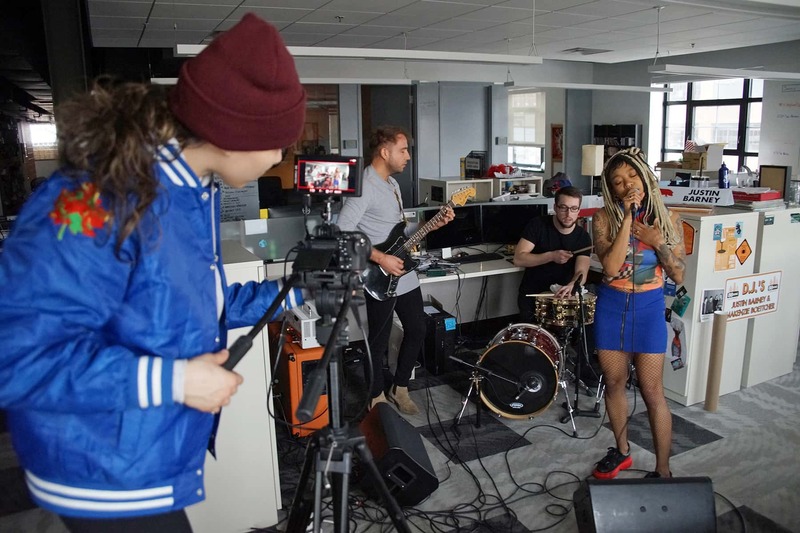 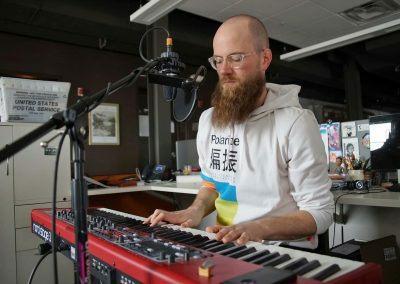 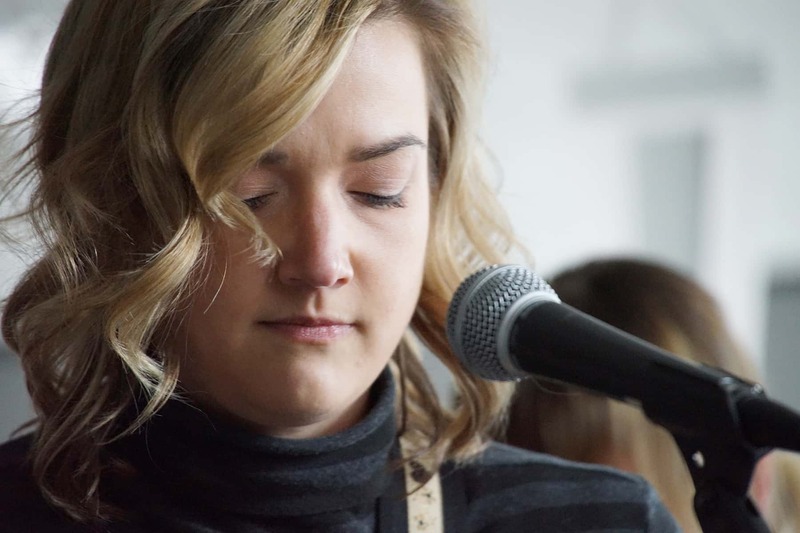 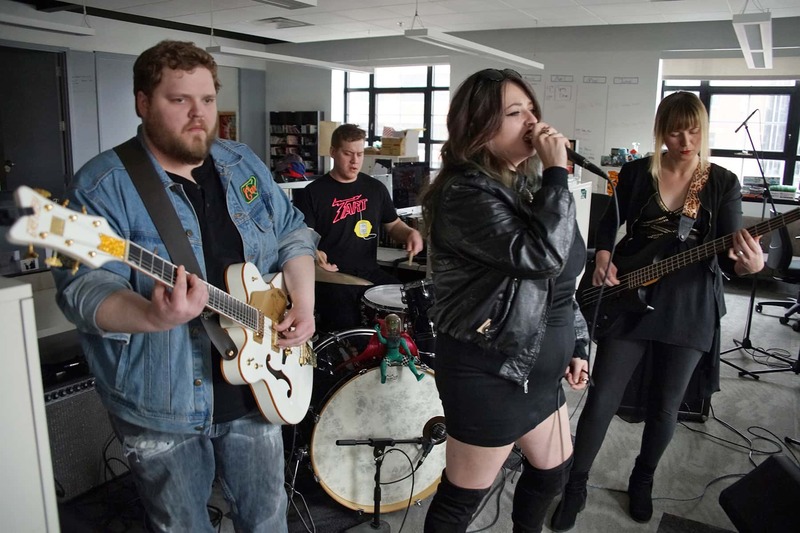 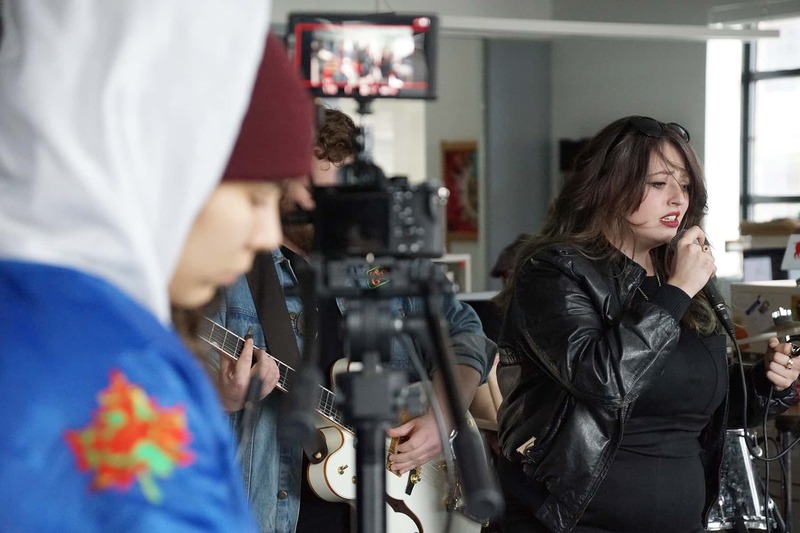 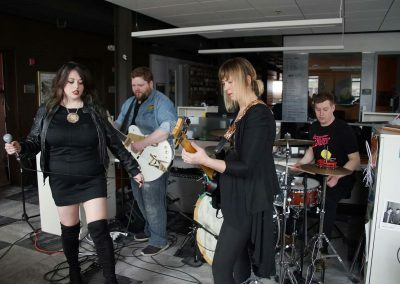 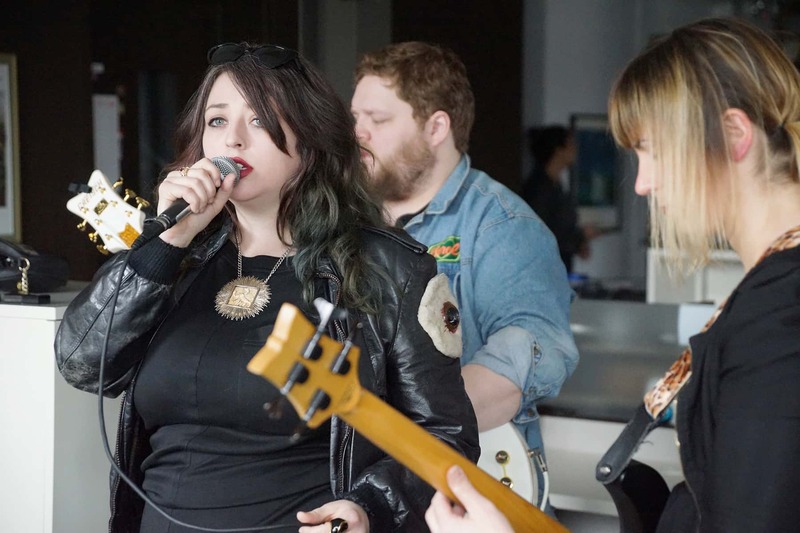 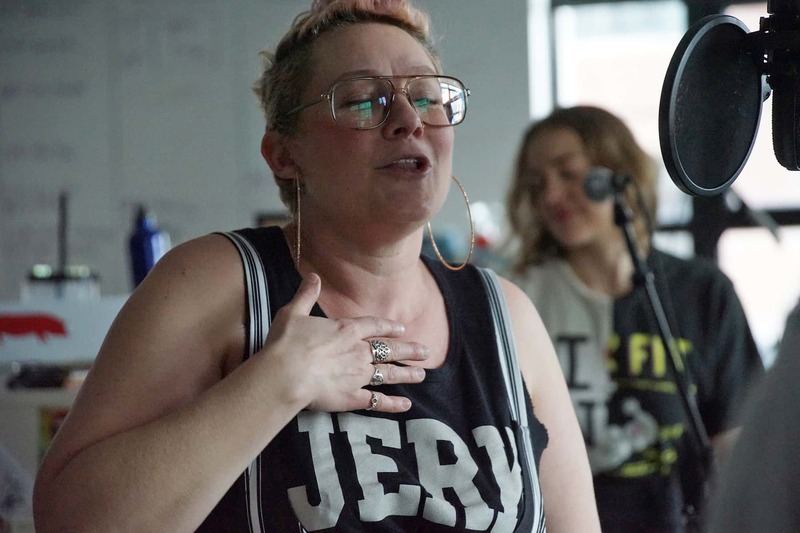 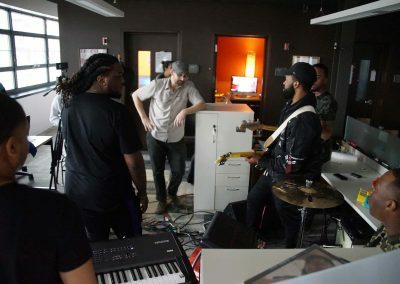 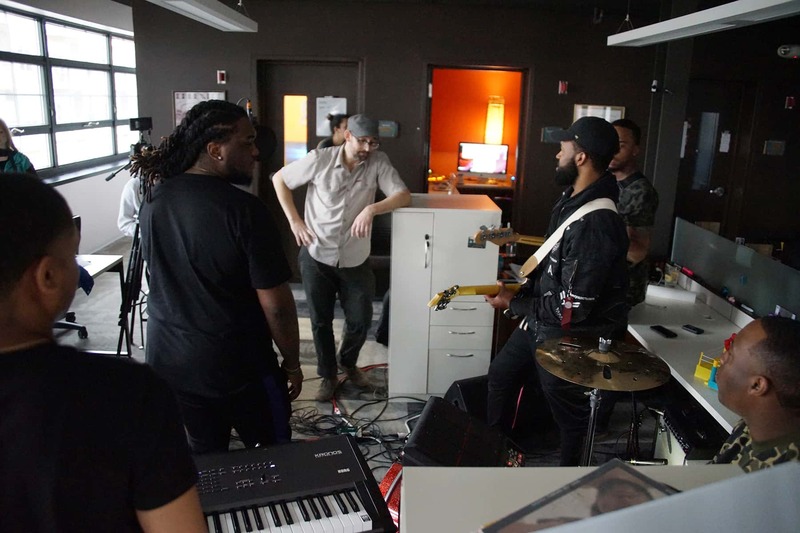 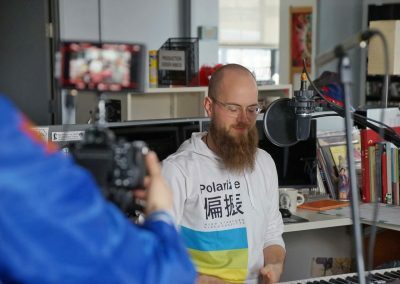 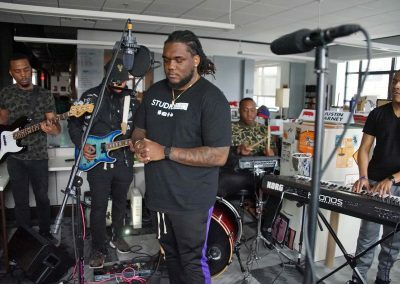 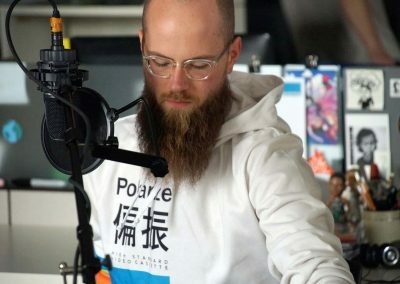 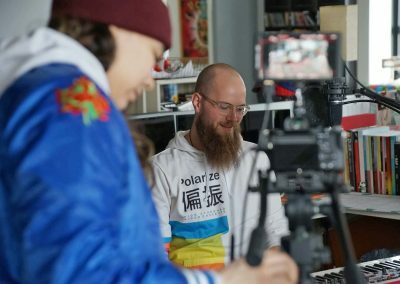 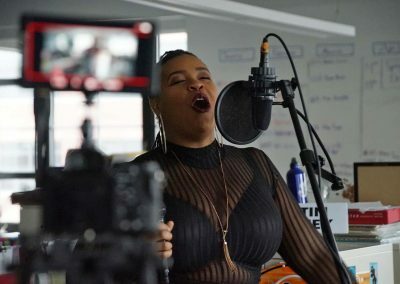 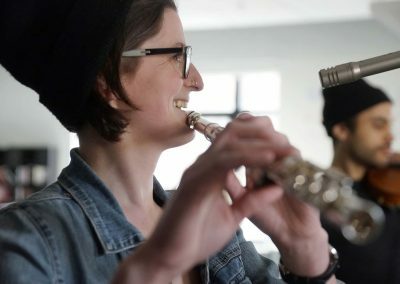 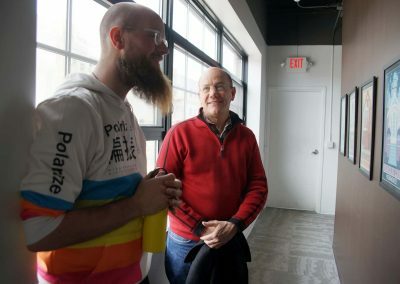 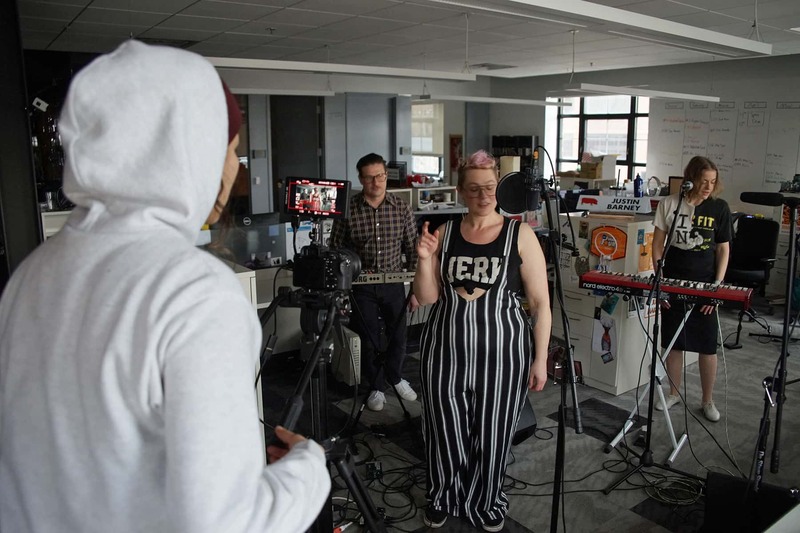 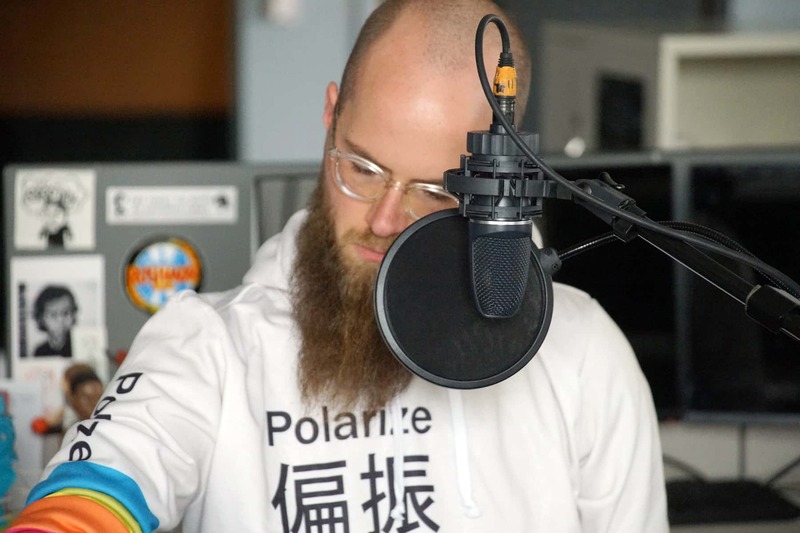 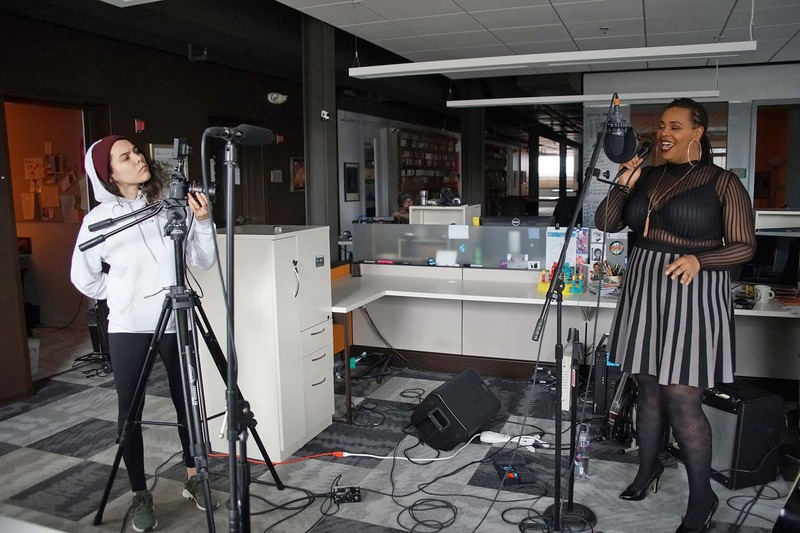 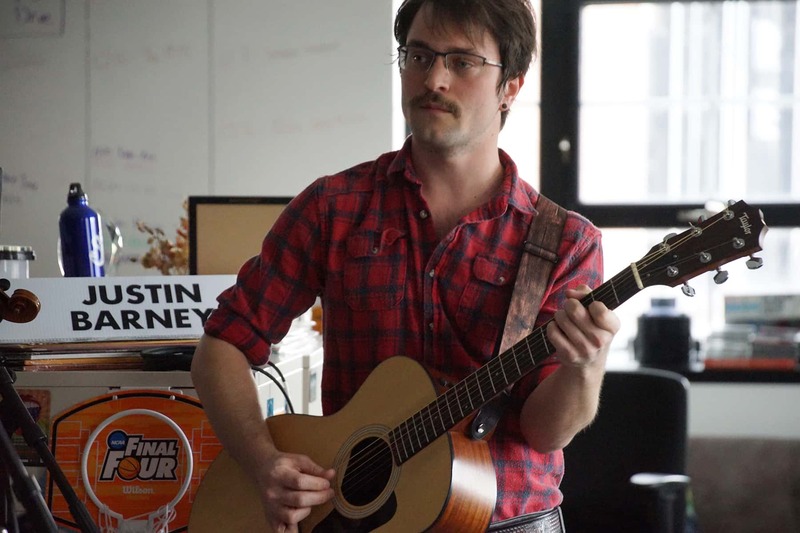 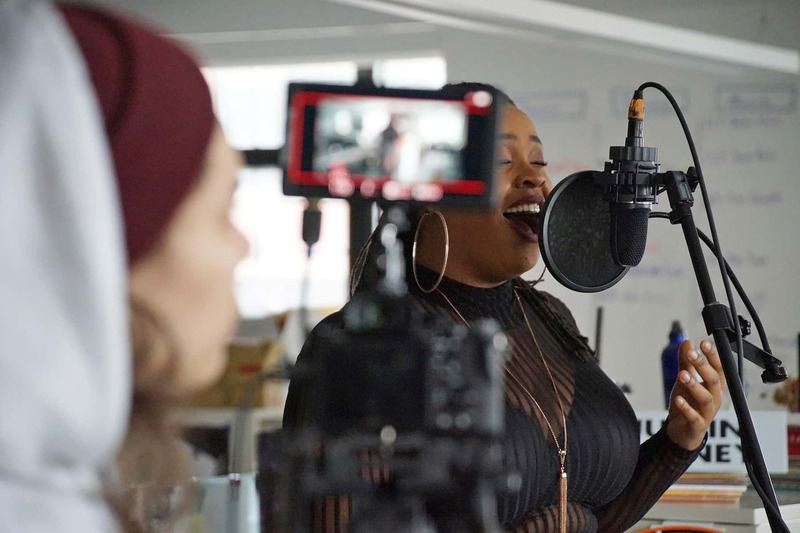 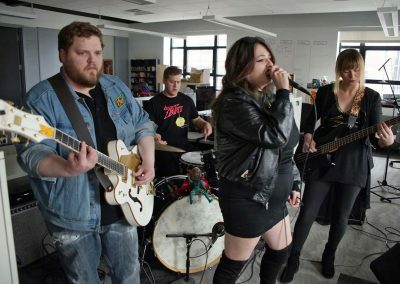 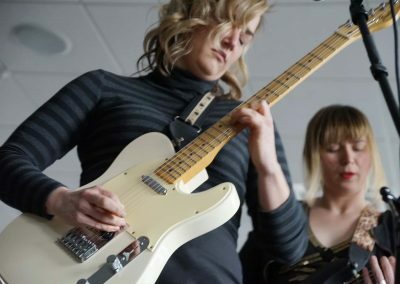 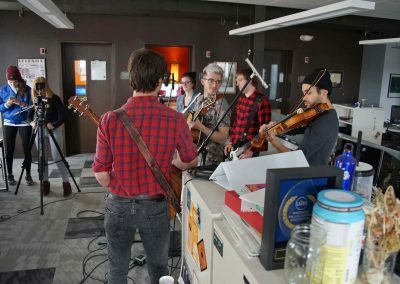 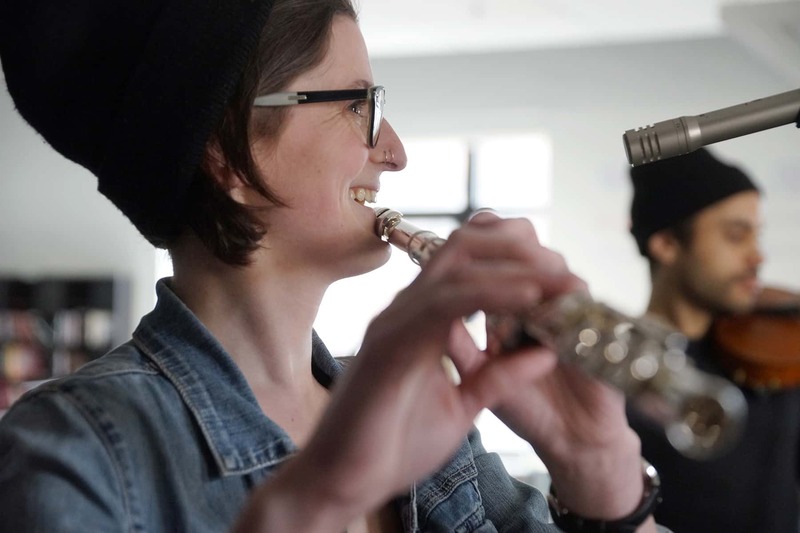 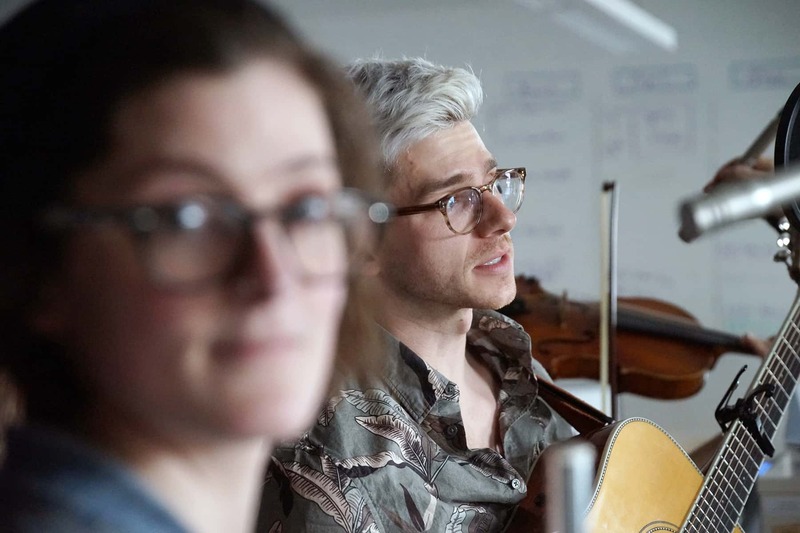 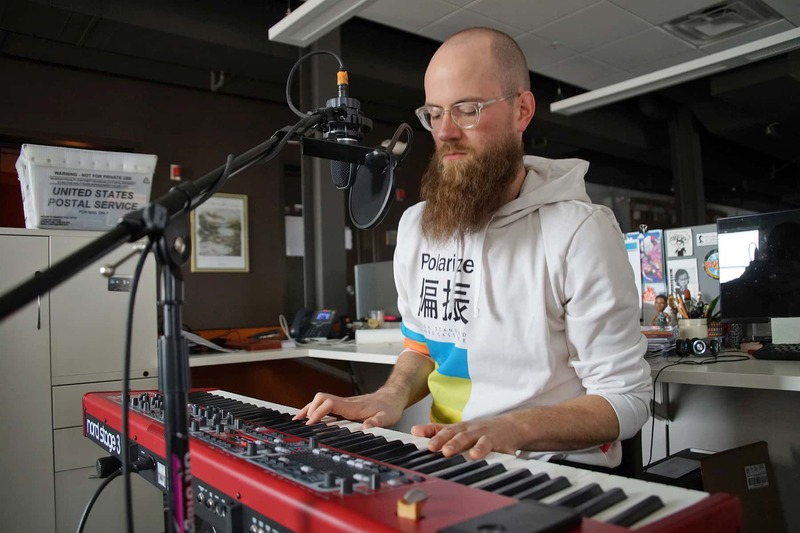 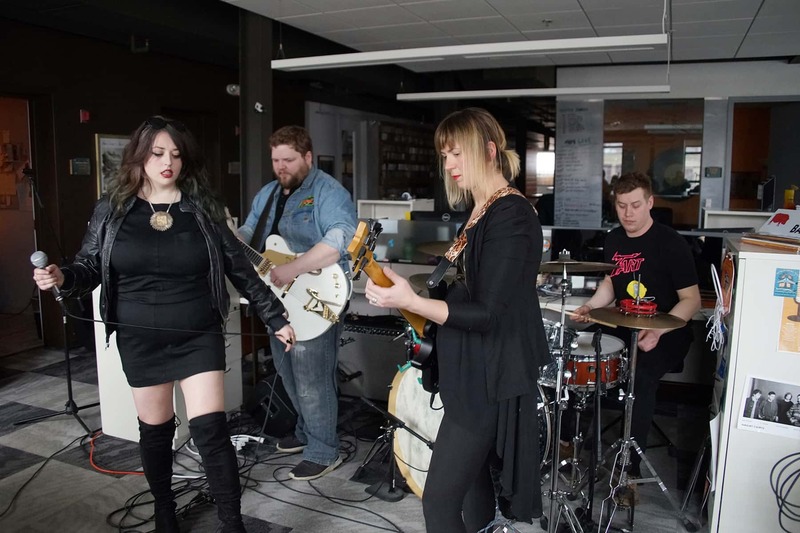 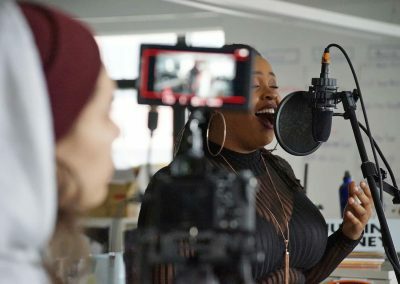 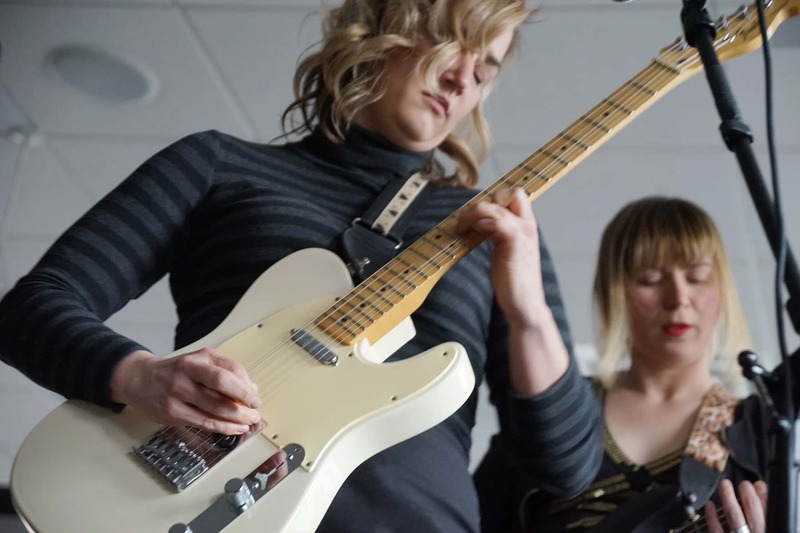 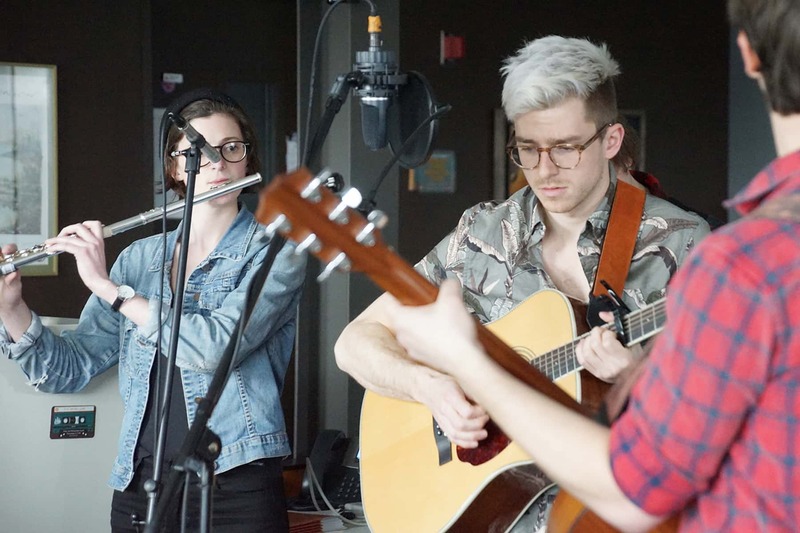 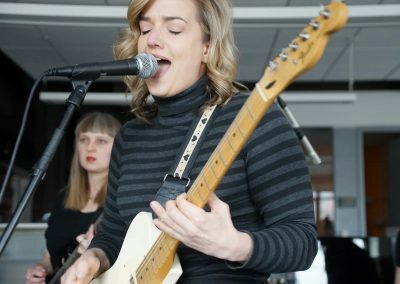 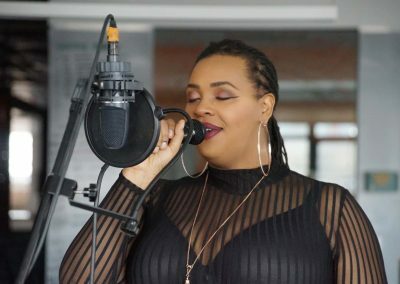 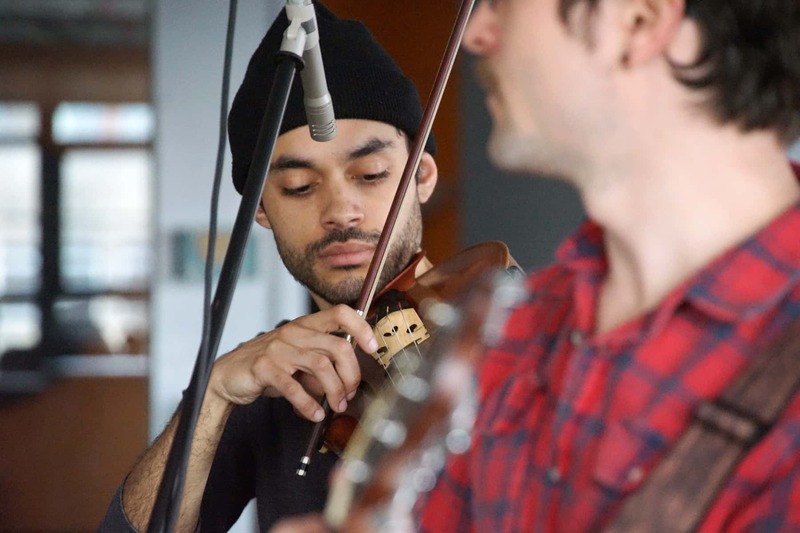 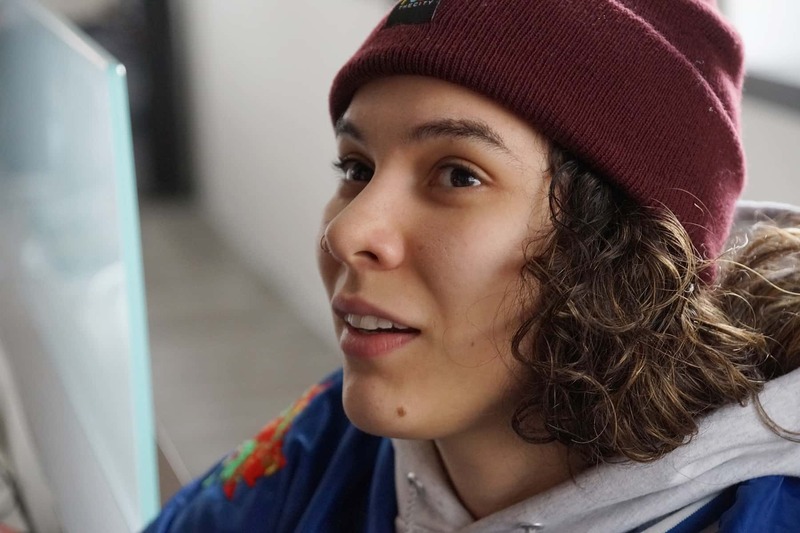 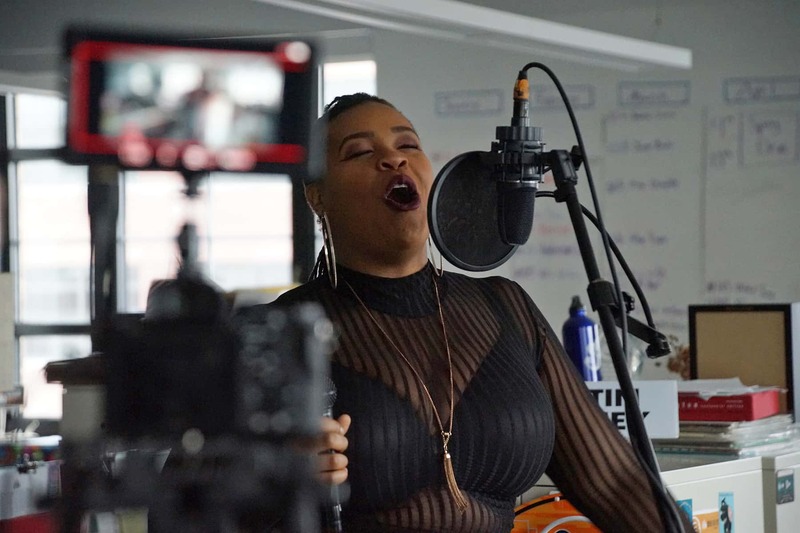 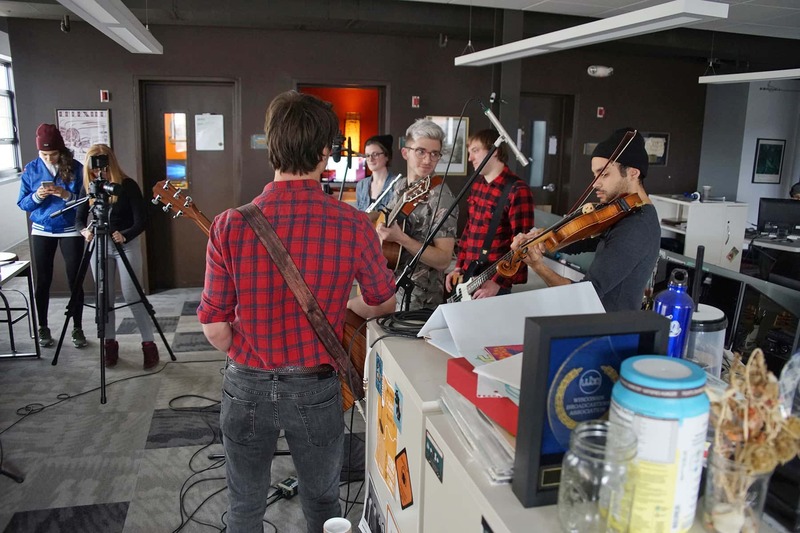 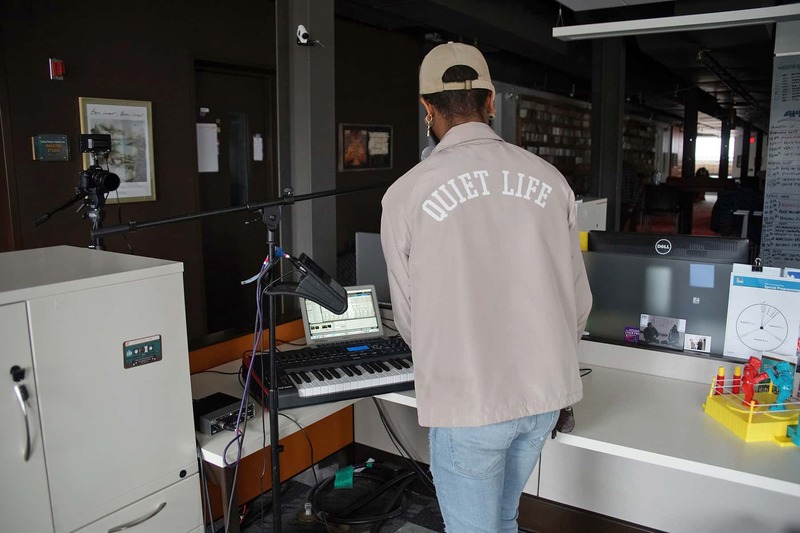 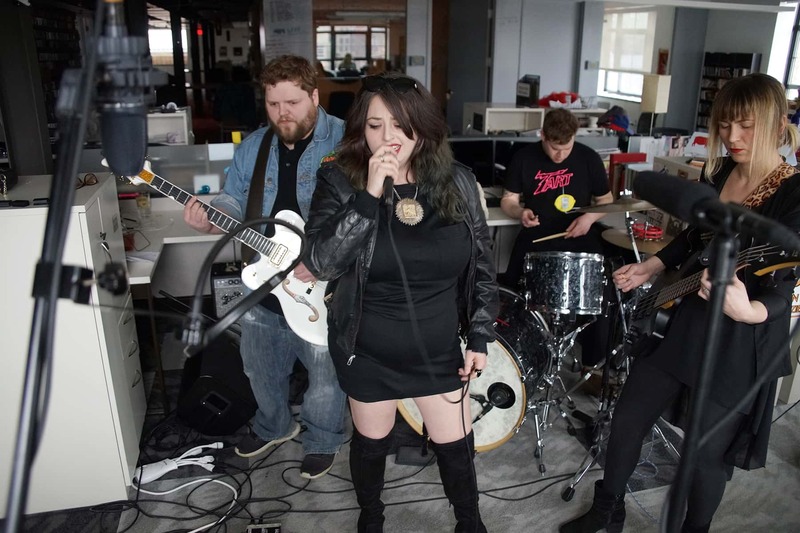 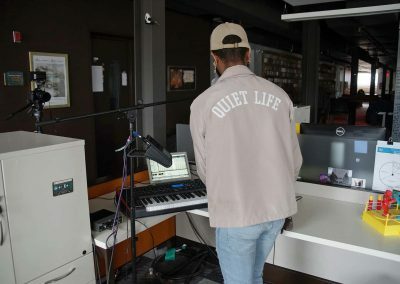 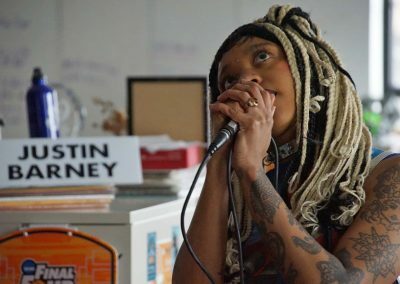 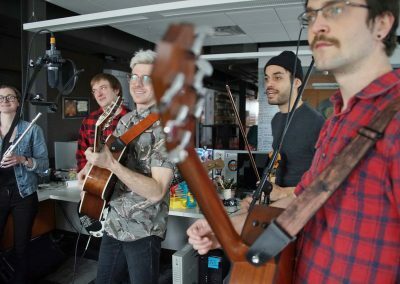 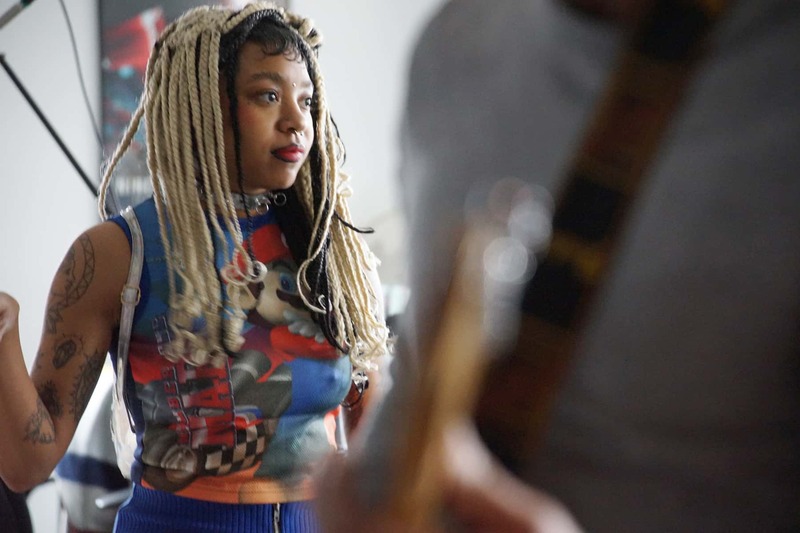 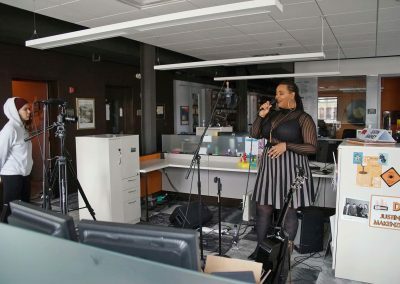 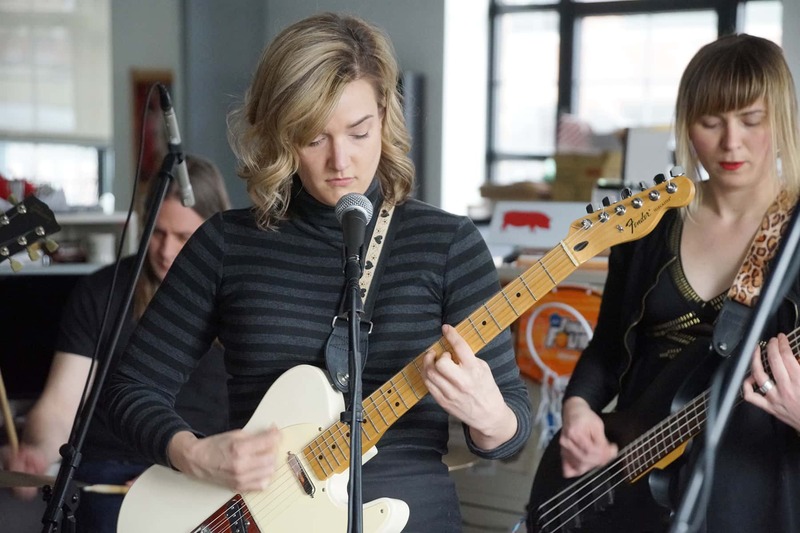 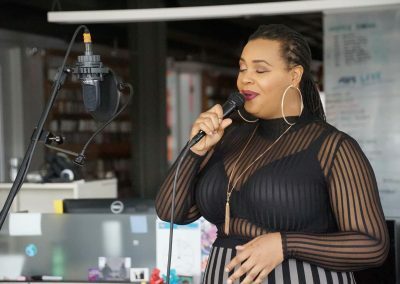 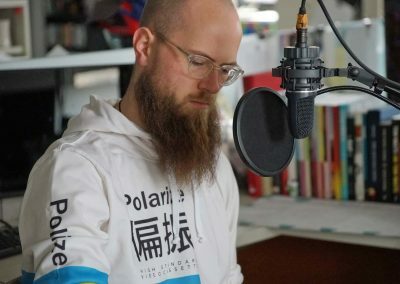 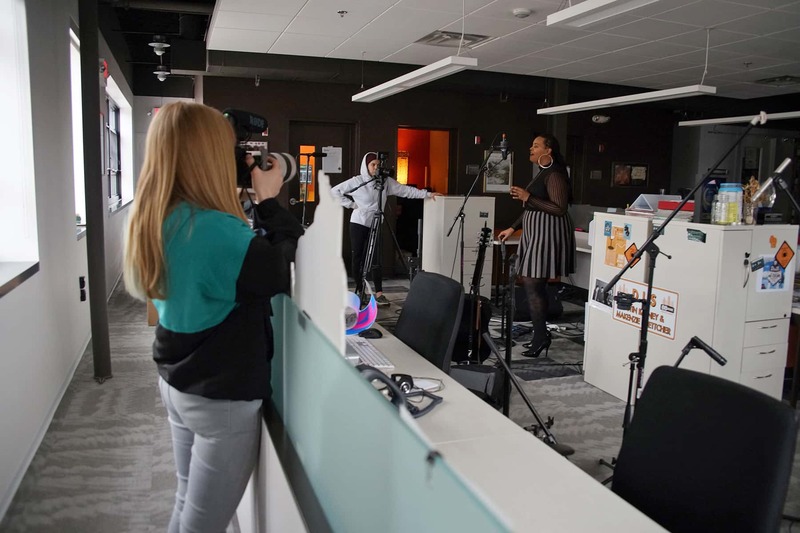 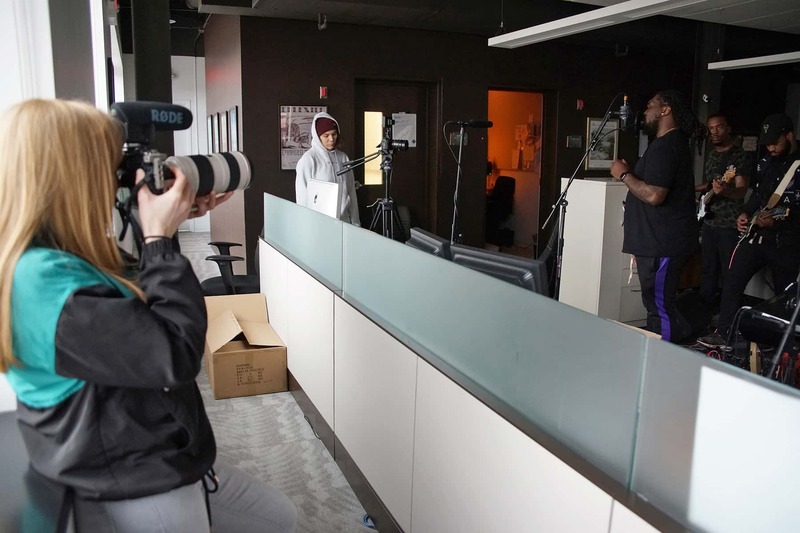 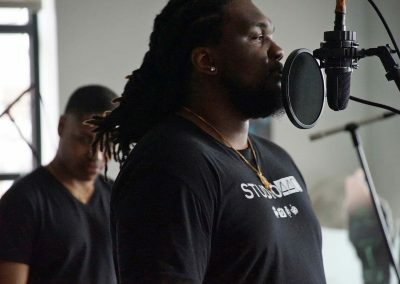 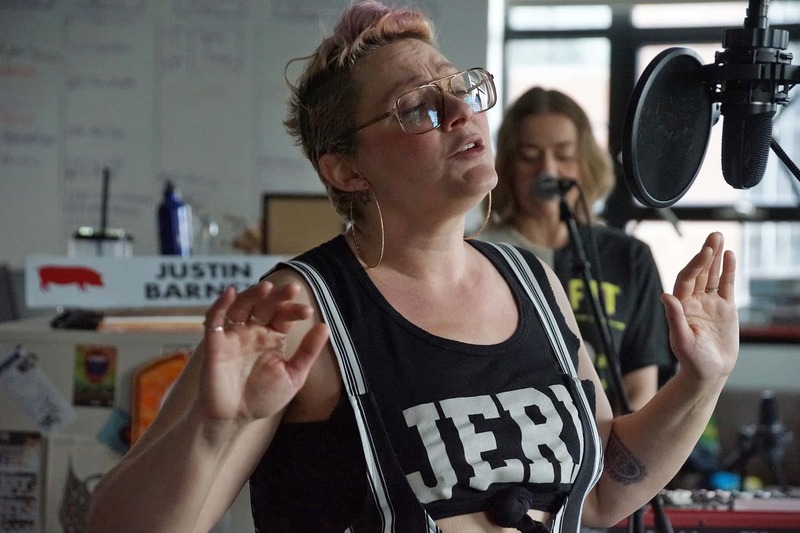 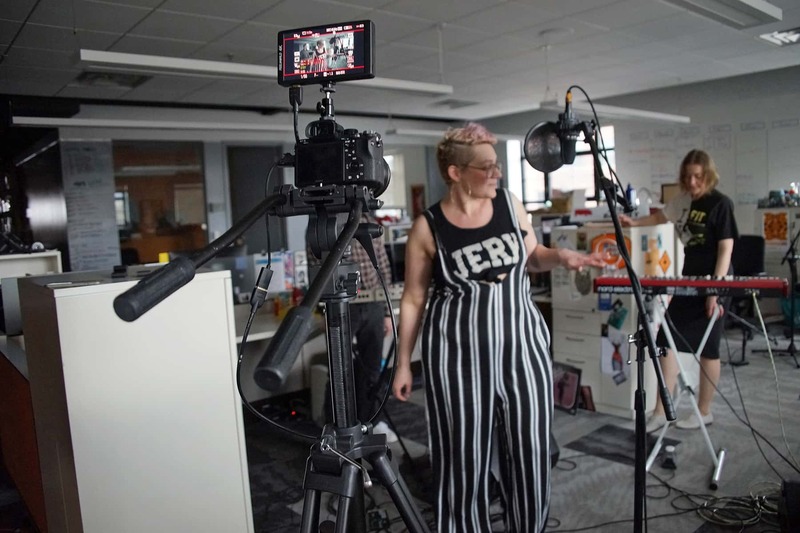 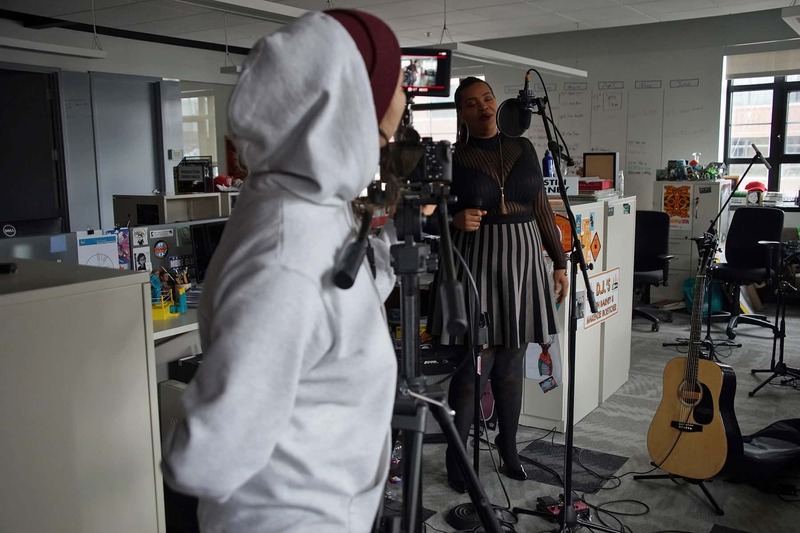 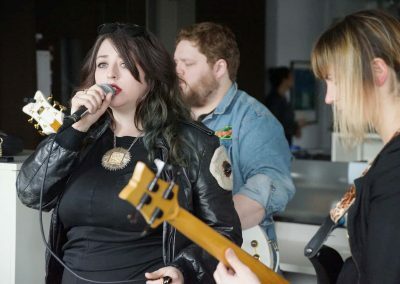 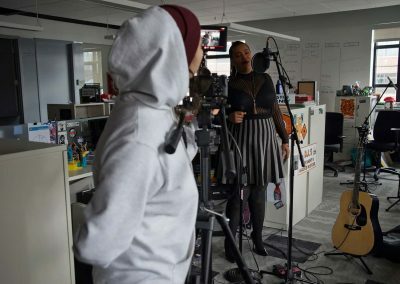 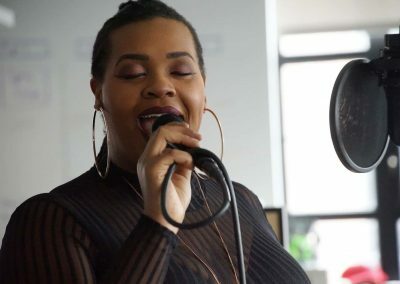 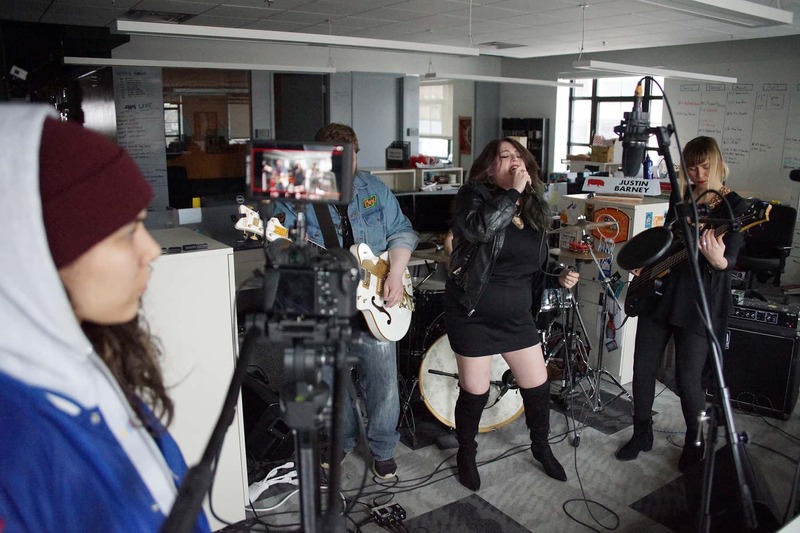 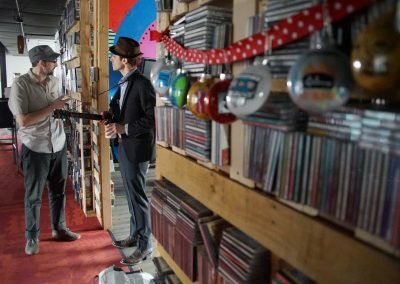 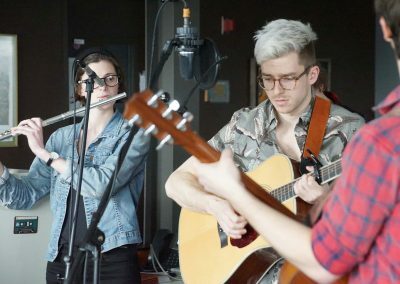 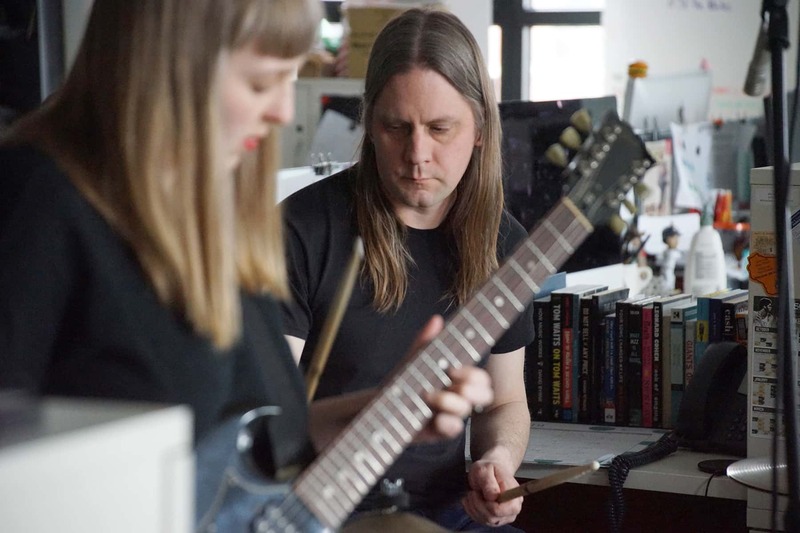 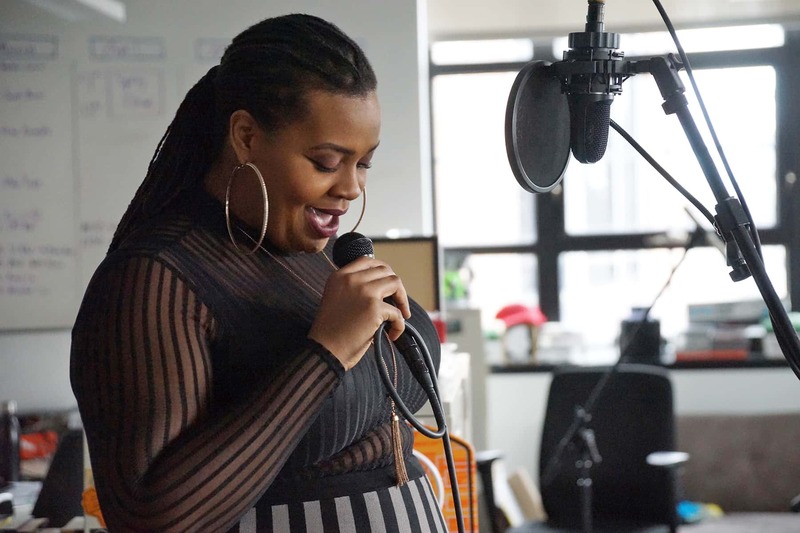 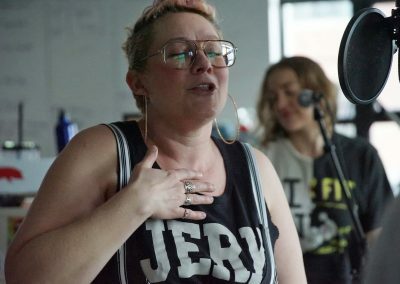 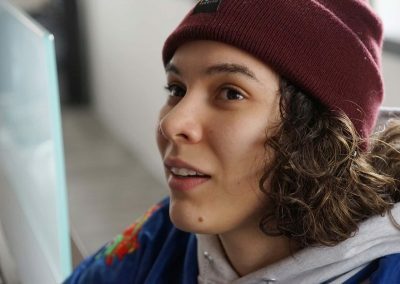 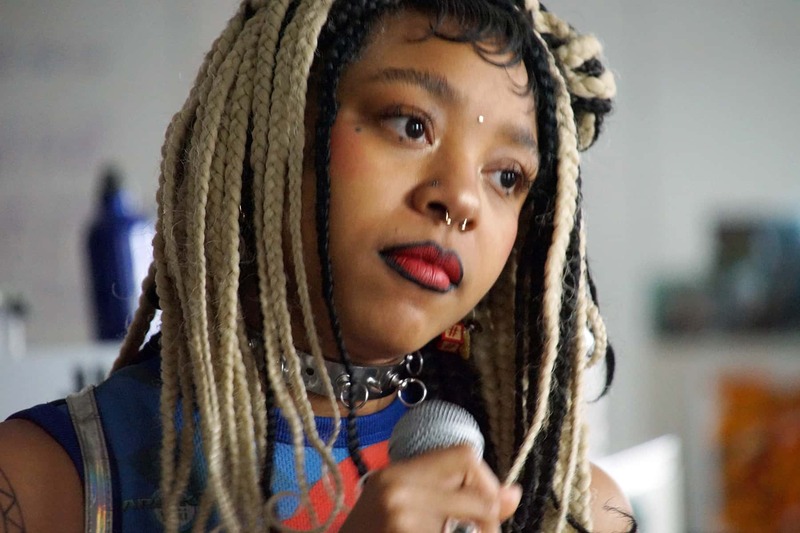 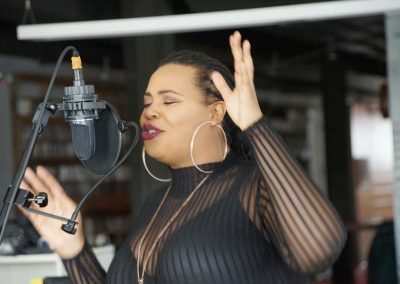 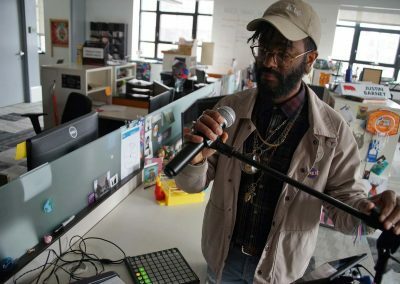 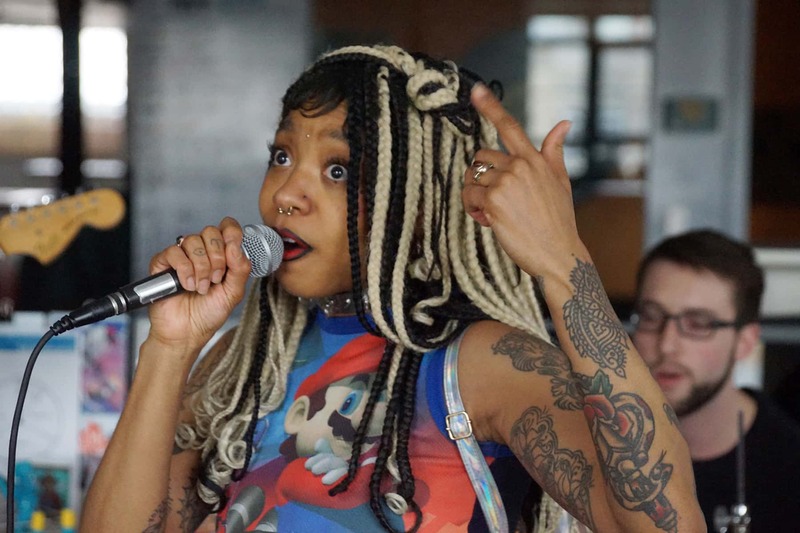 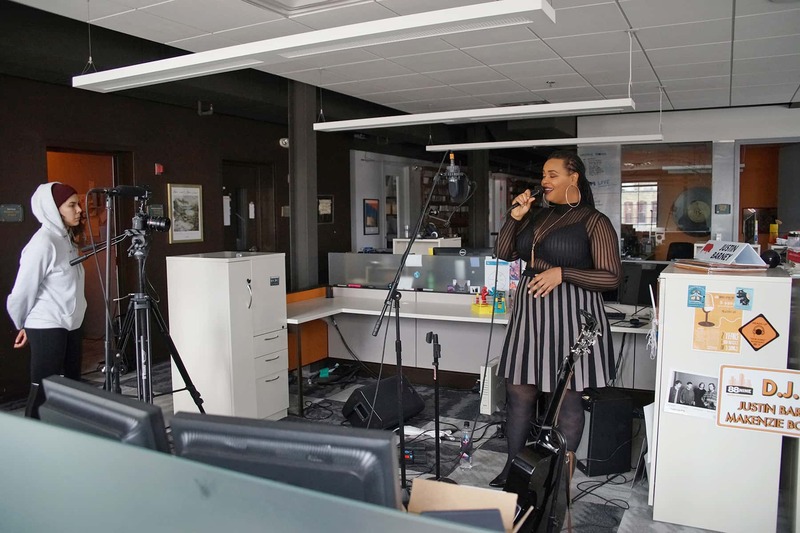 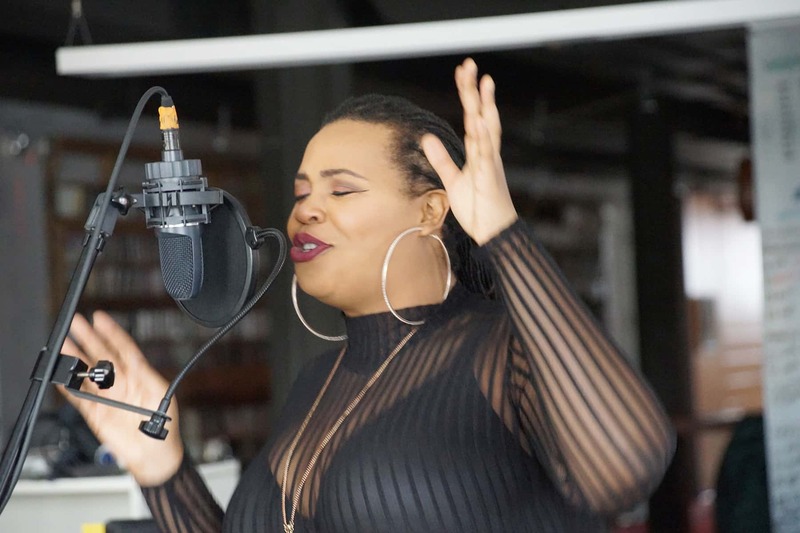 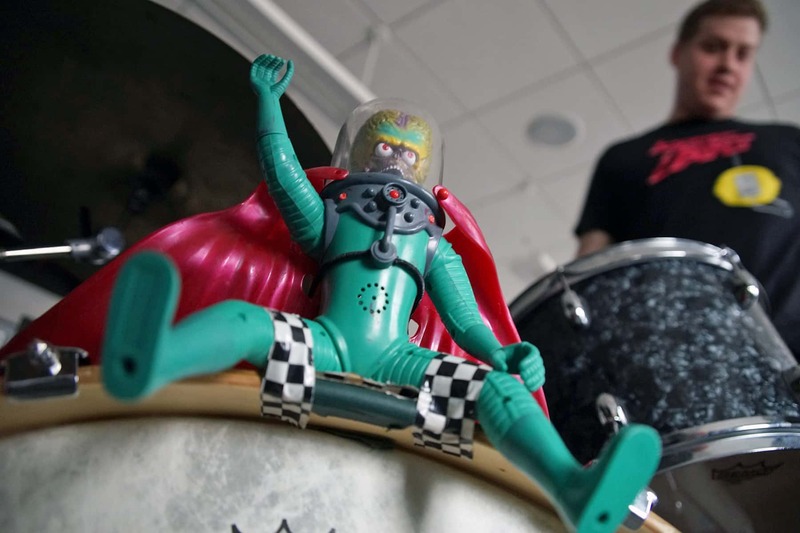 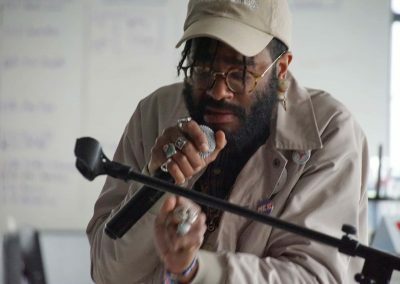 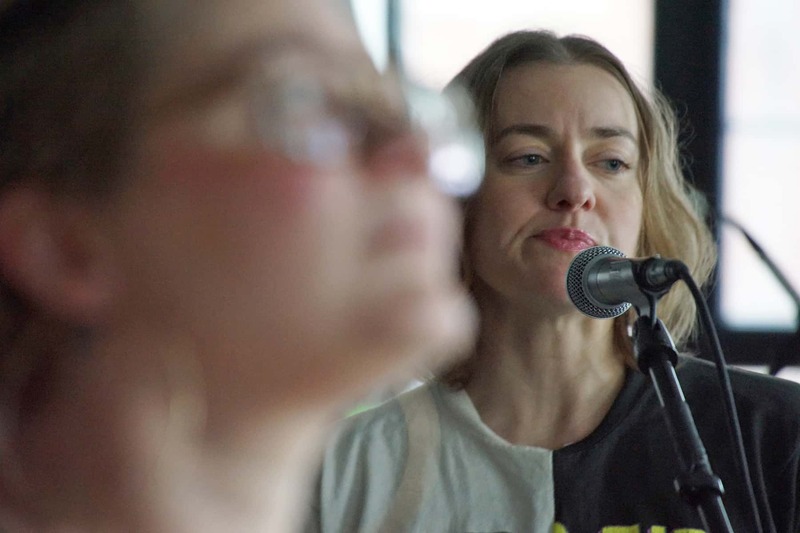 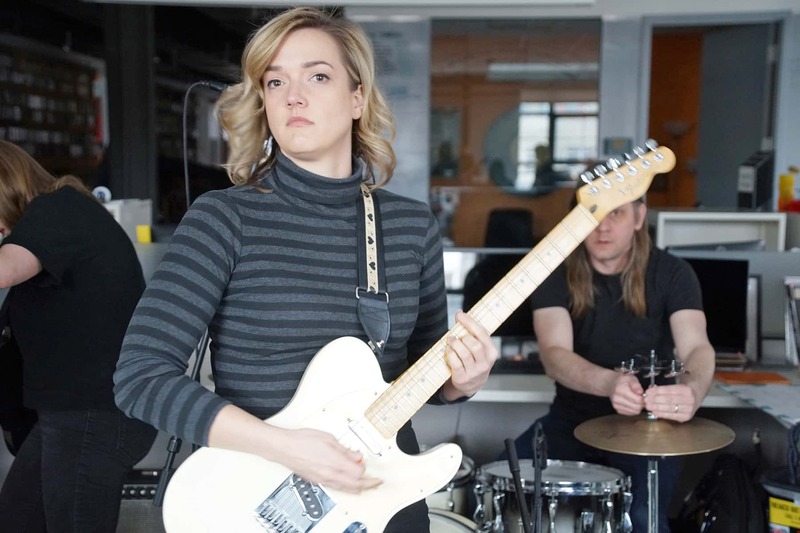 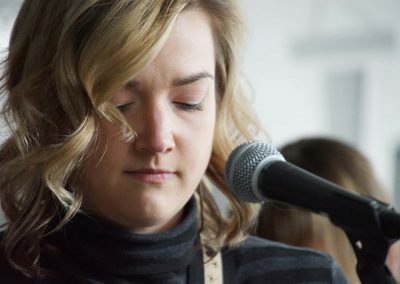 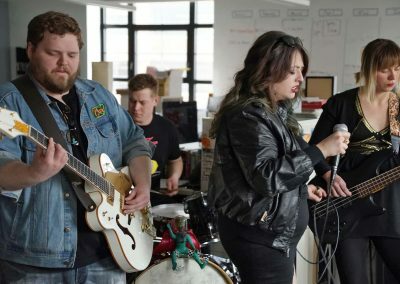 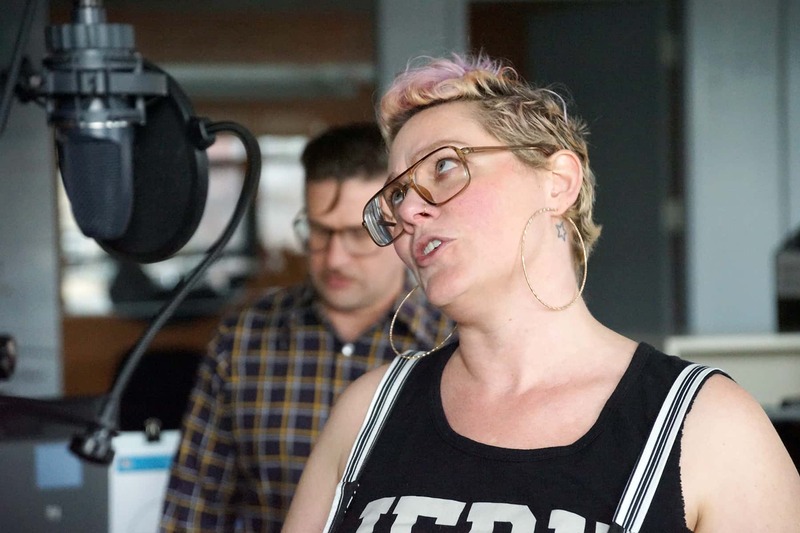 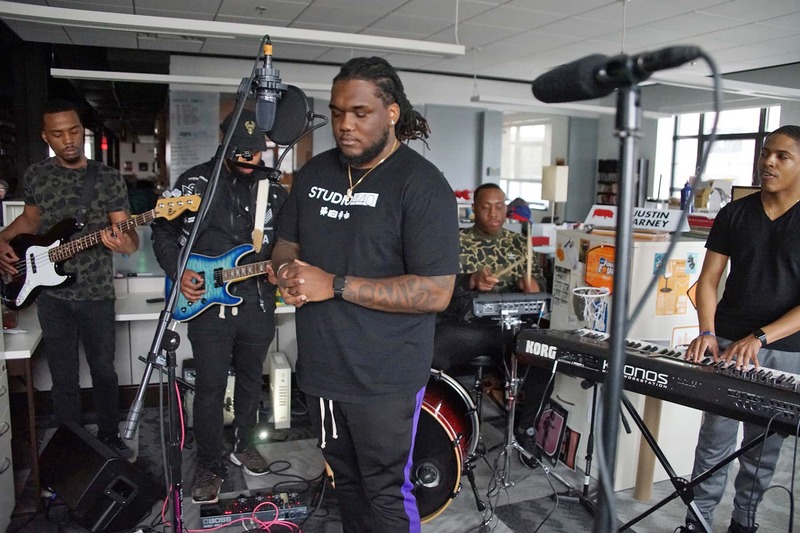 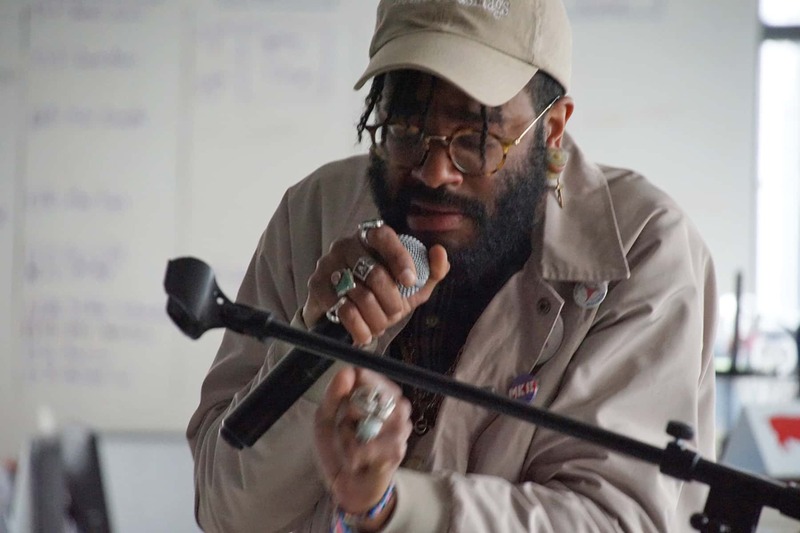 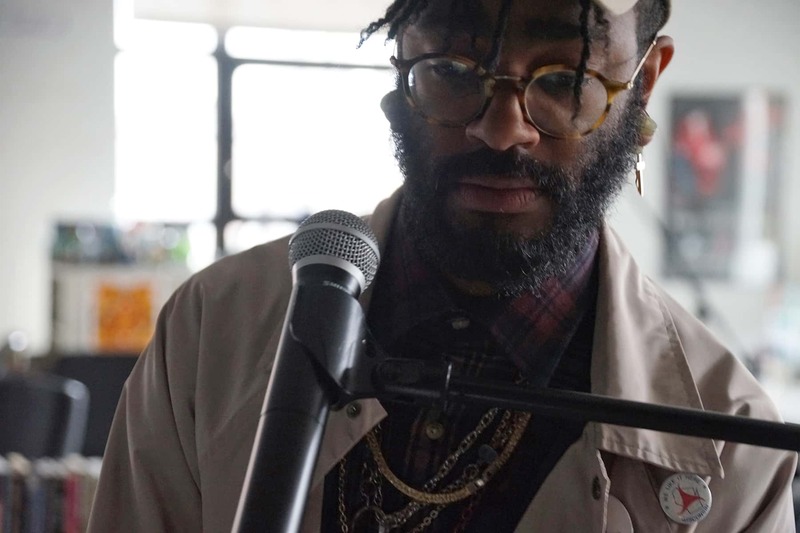 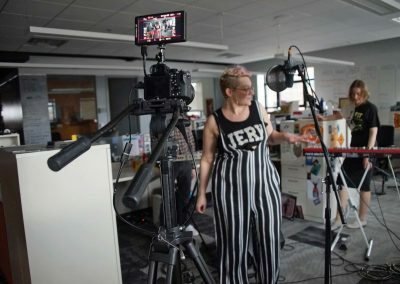 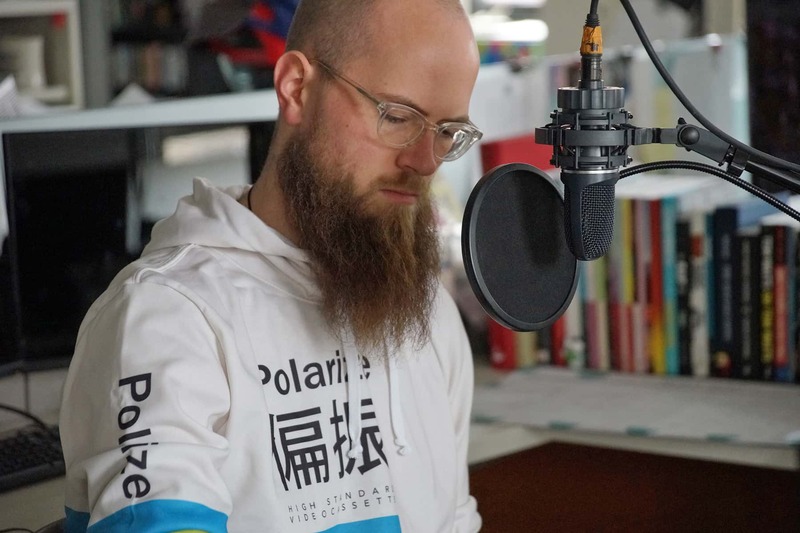 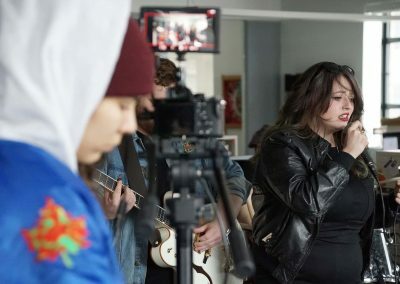 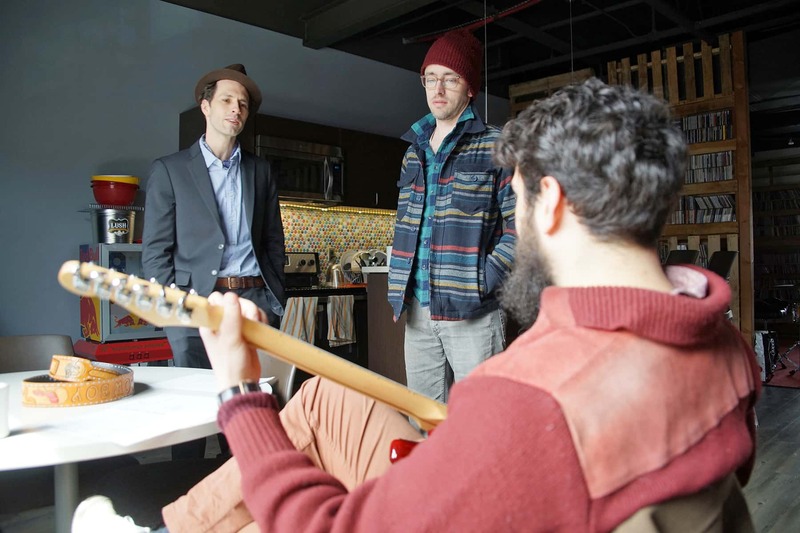 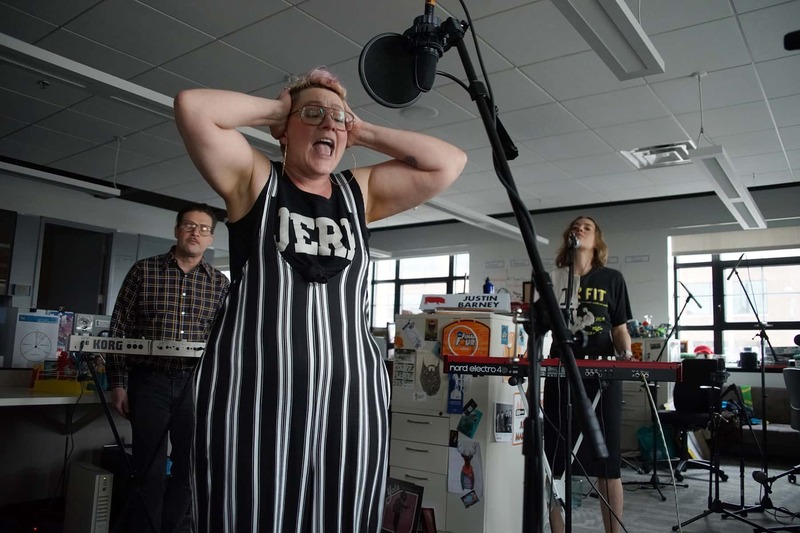 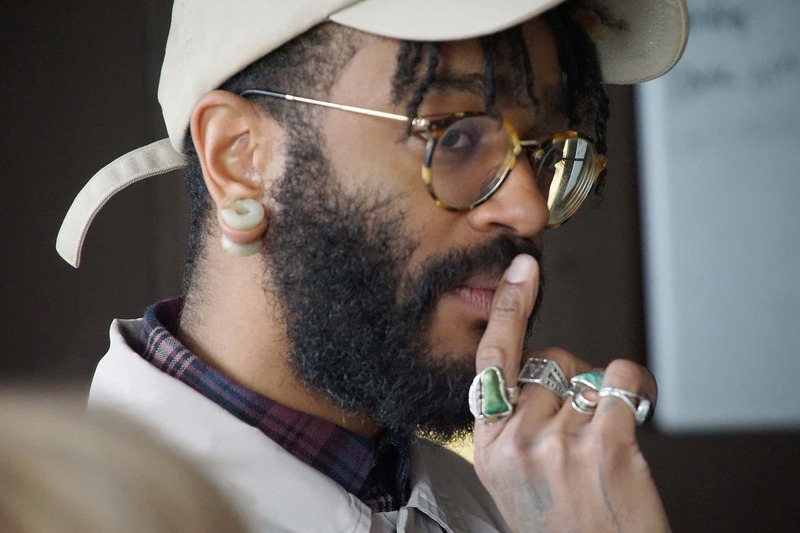 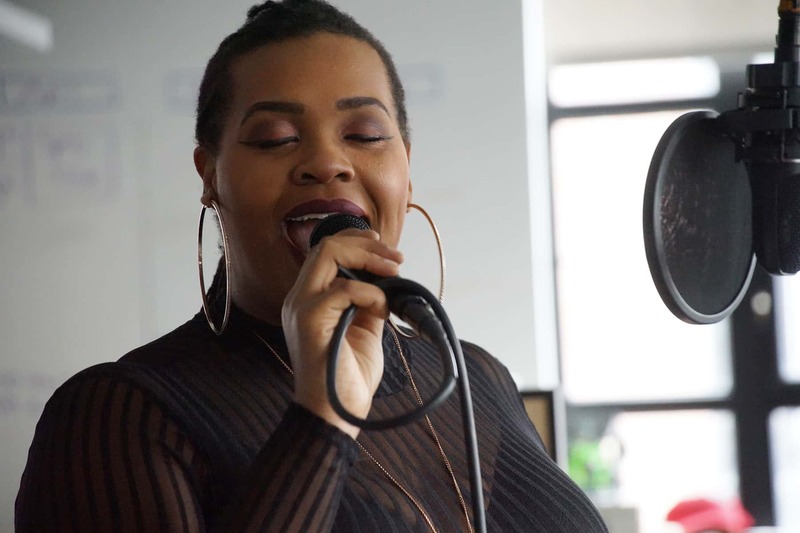 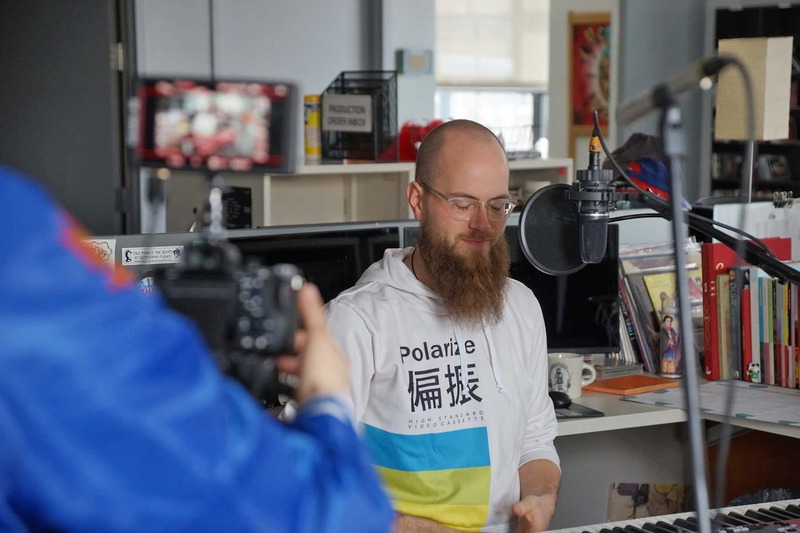 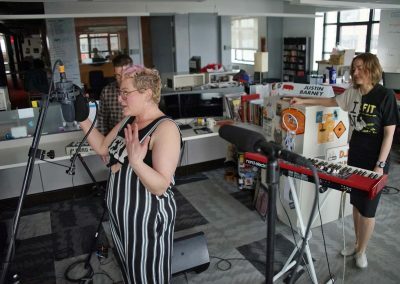 Radio Milwaukee filmed 10 local artists on March 30 to produce a music video for each, assisting them in the submission process to compete in National Public Radios’s Tiny Desk contest. 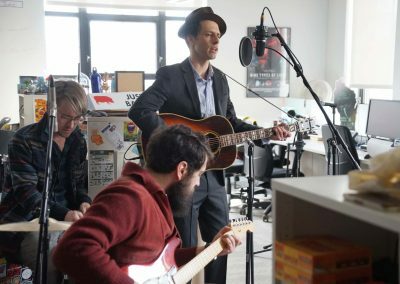 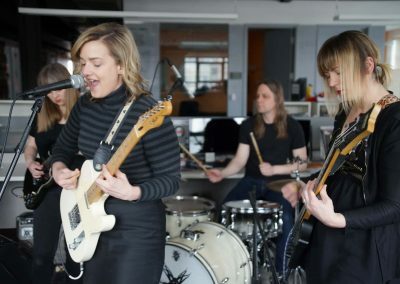 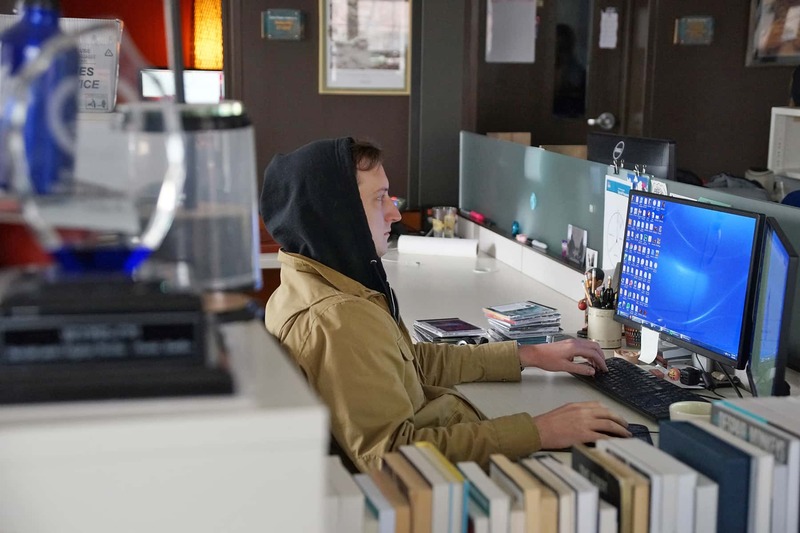 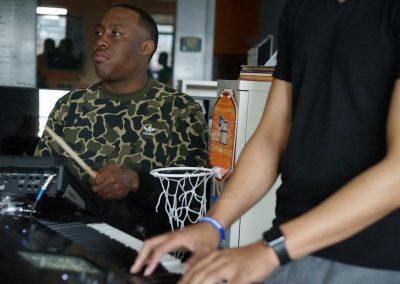 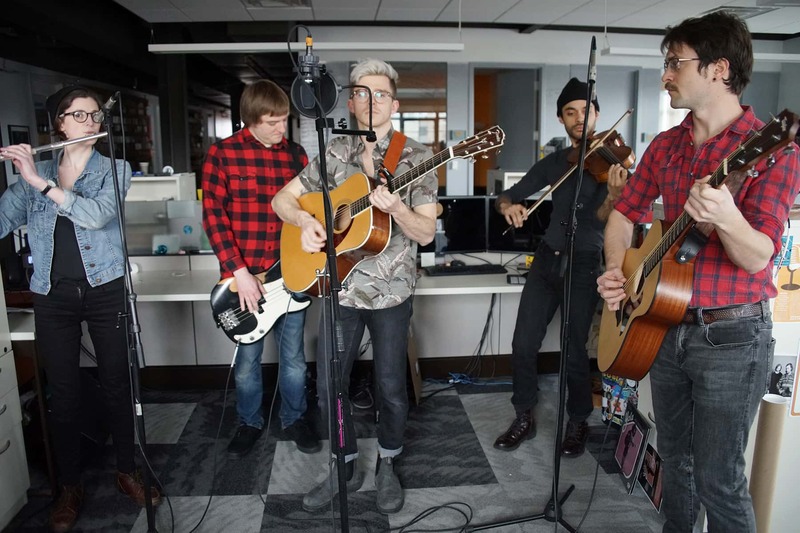 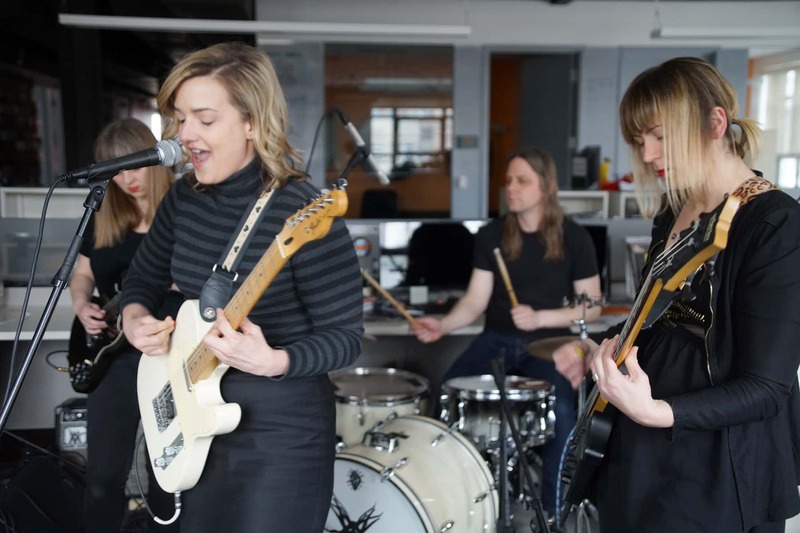 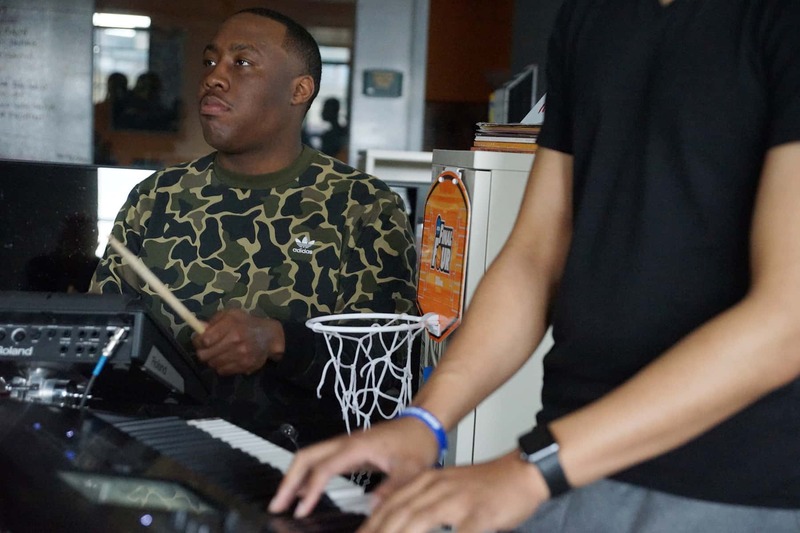 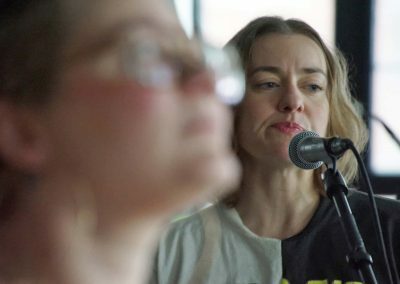 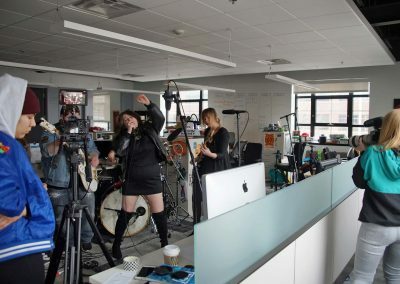 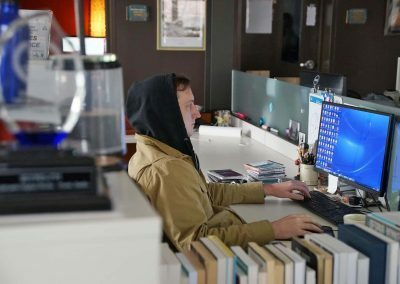 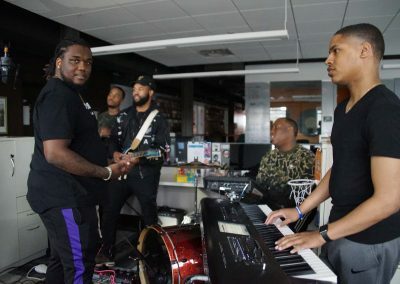 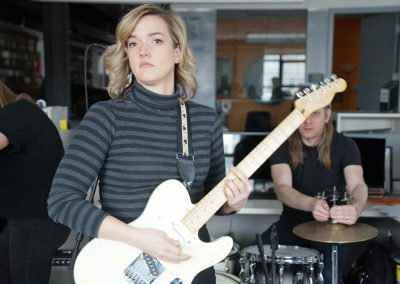 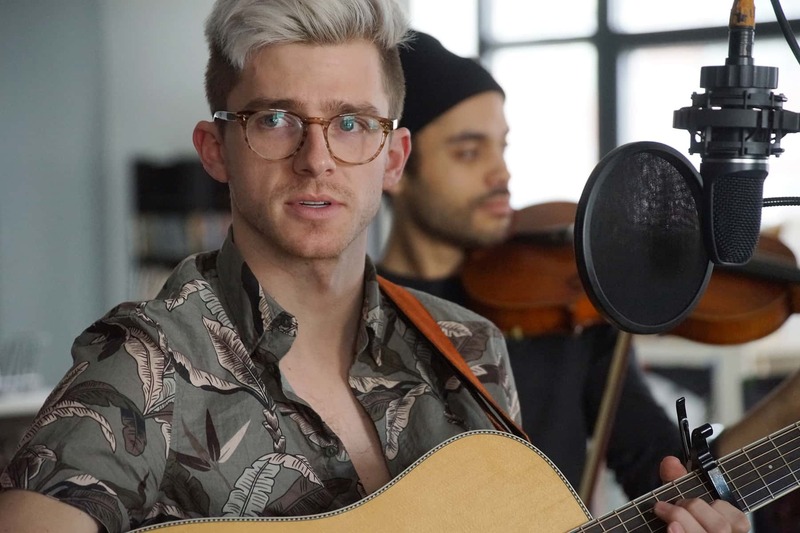 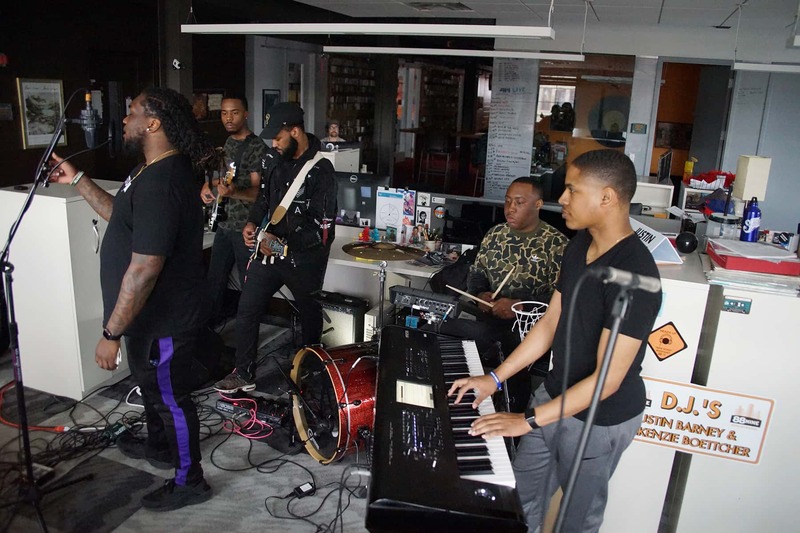 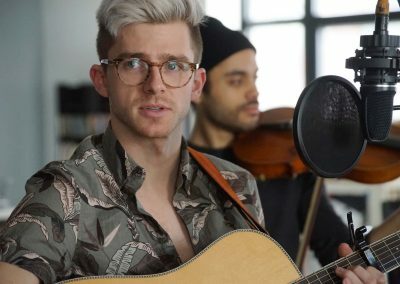 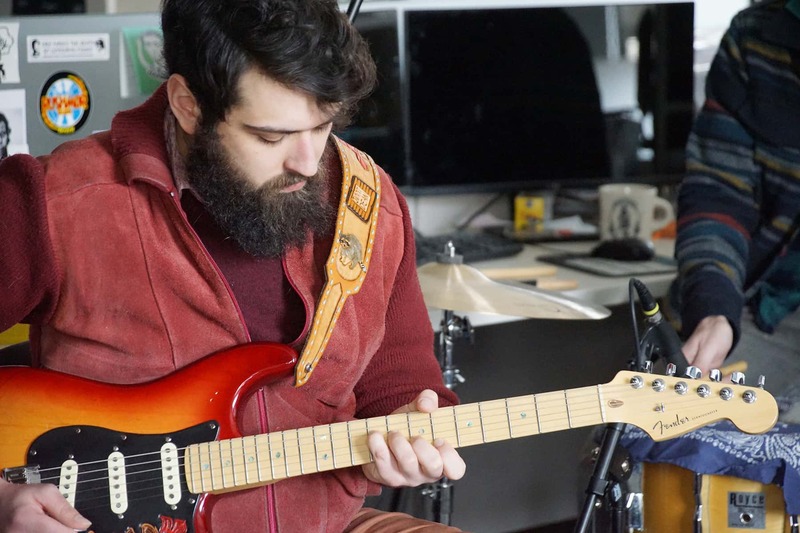 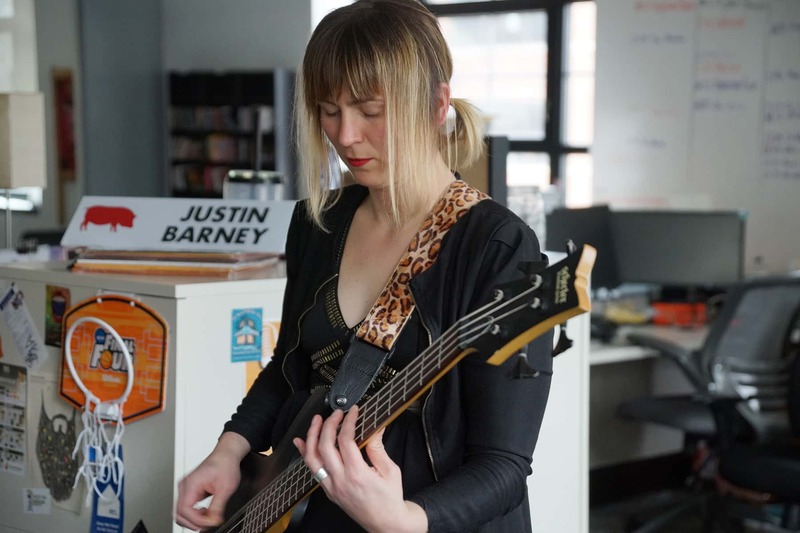 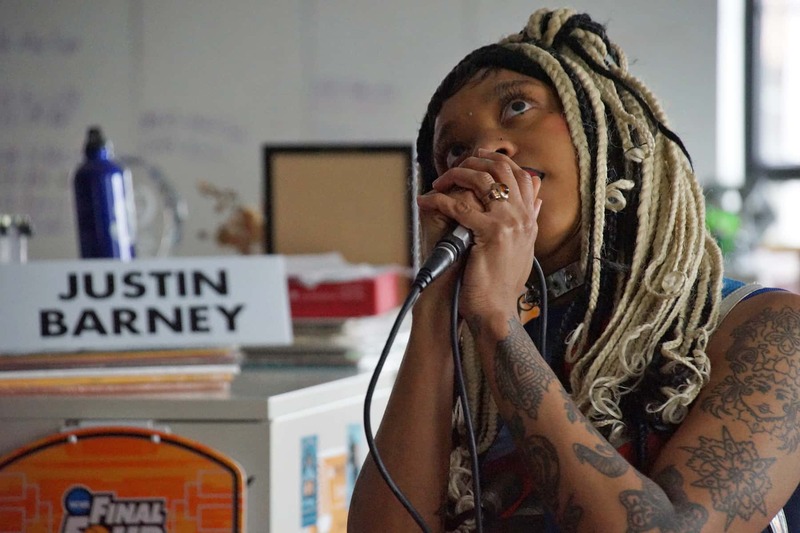 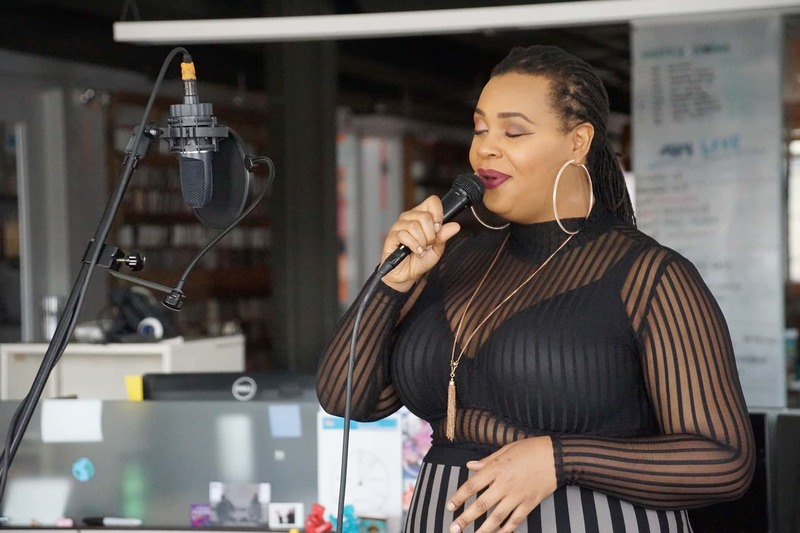 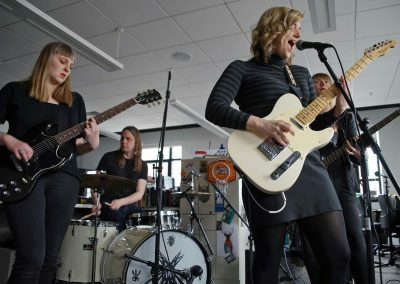 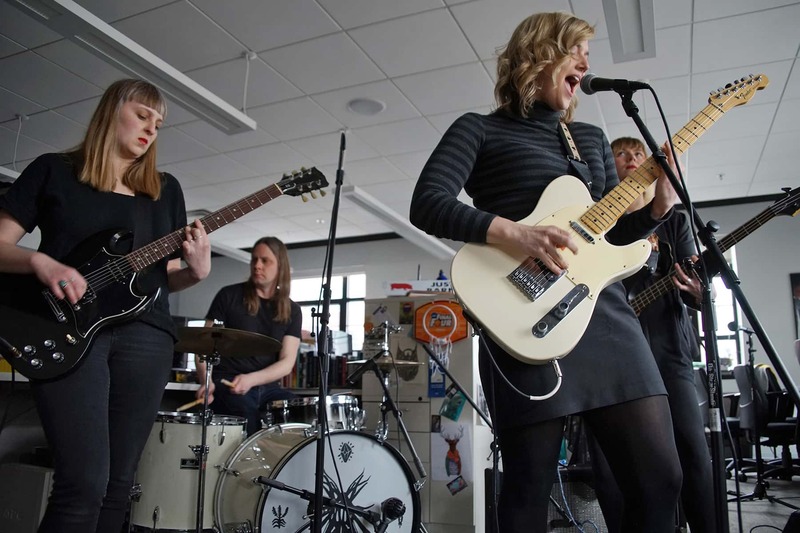 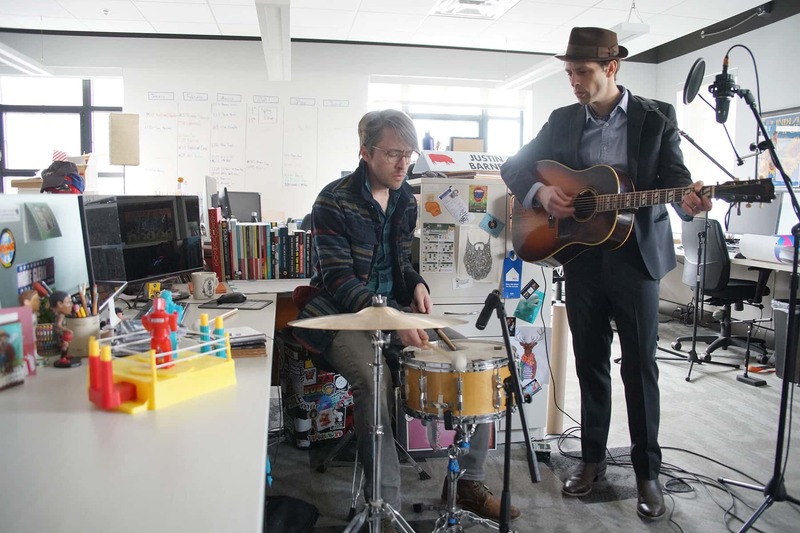 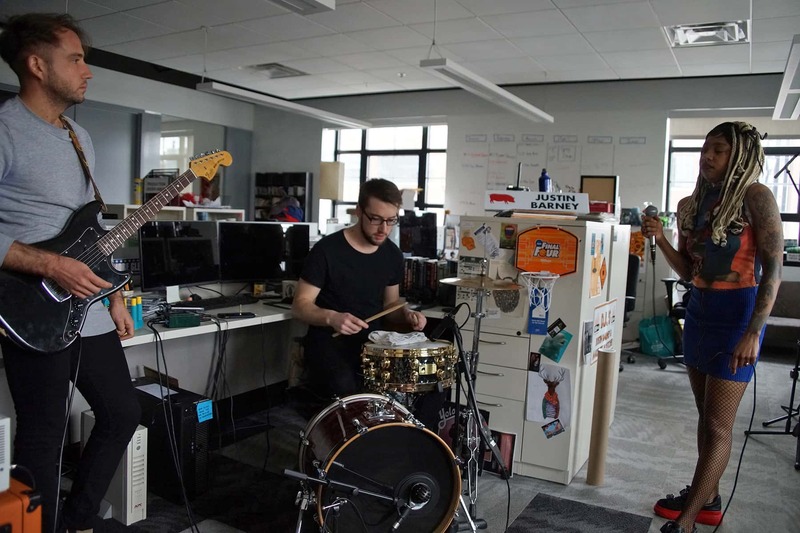 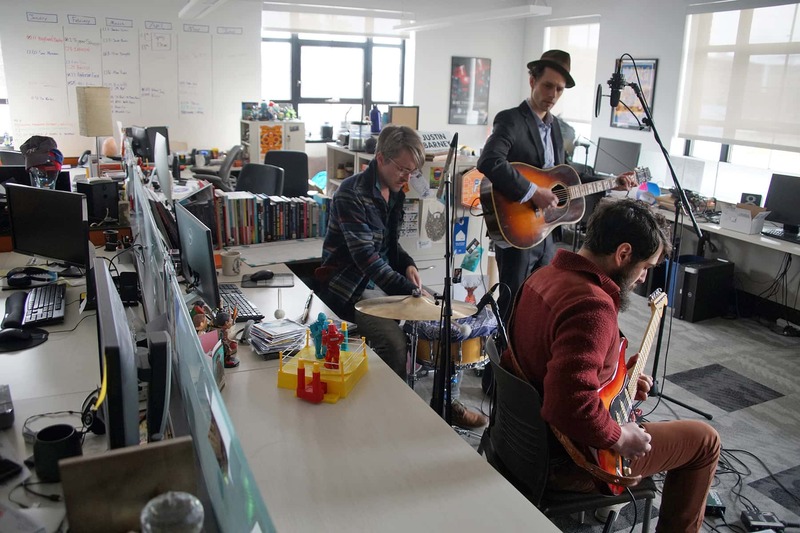 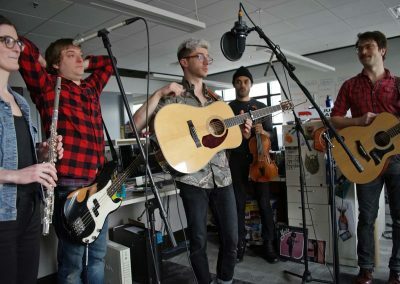 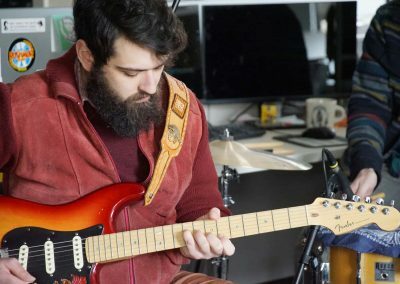 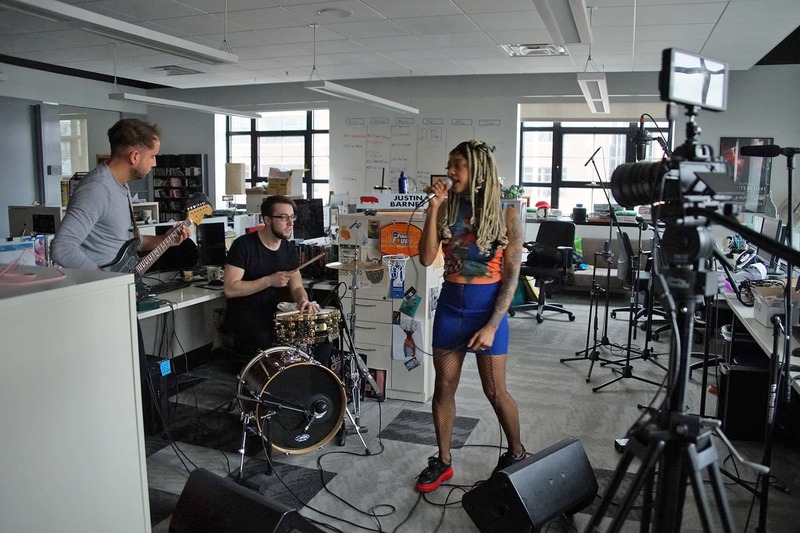 Playing a Tiny Desk concert has become a dream gig for musicians who hope to reach the media network’s devoted national audience. 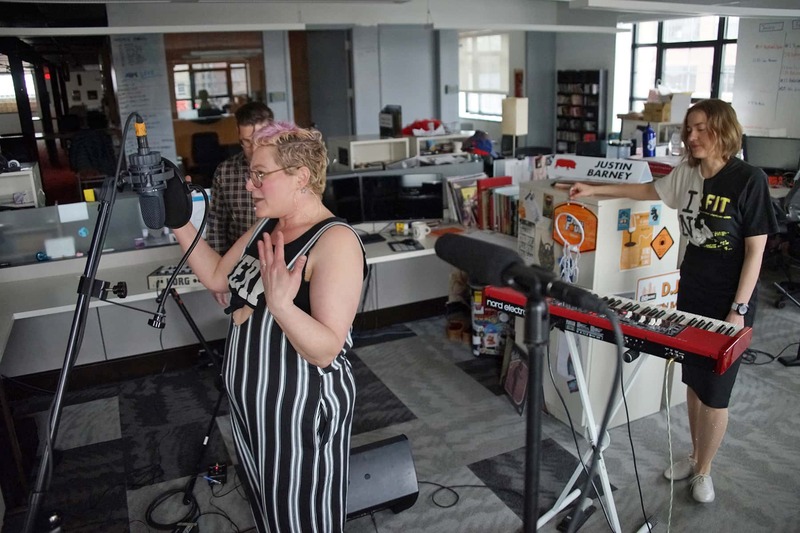 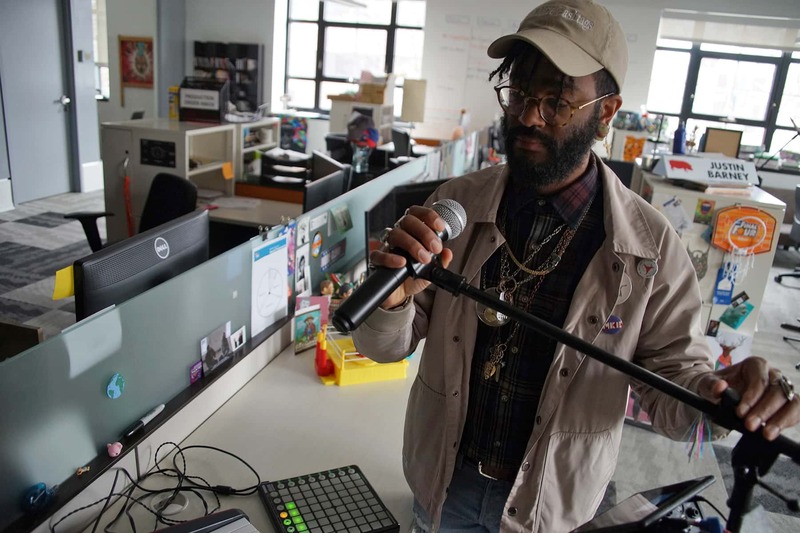 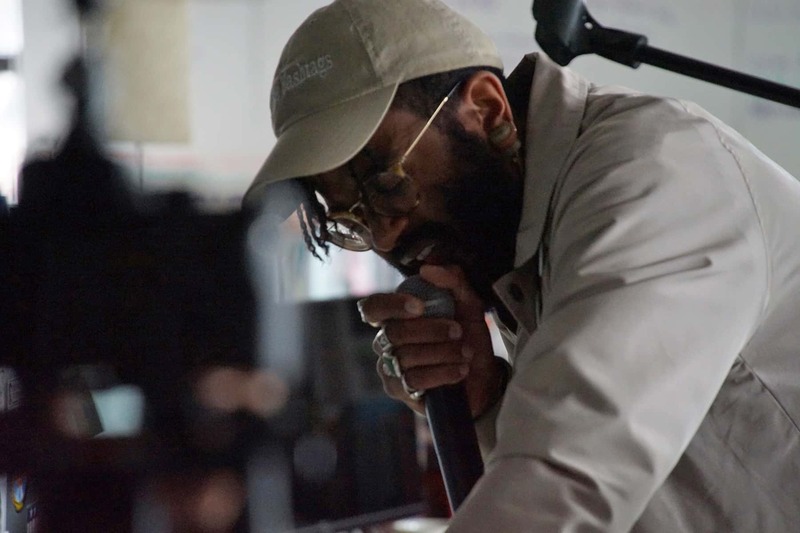 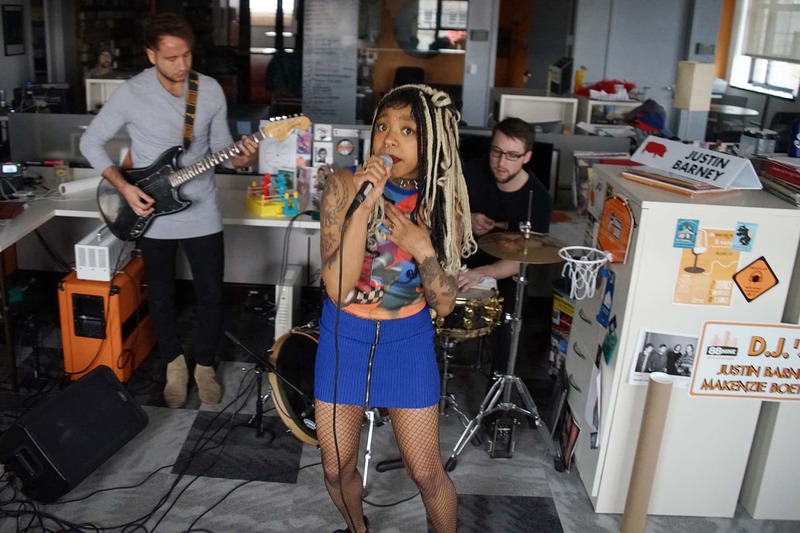 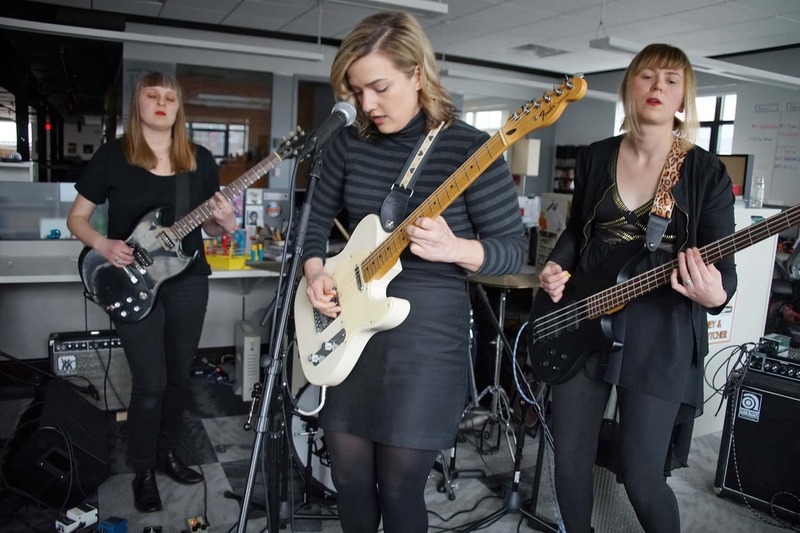 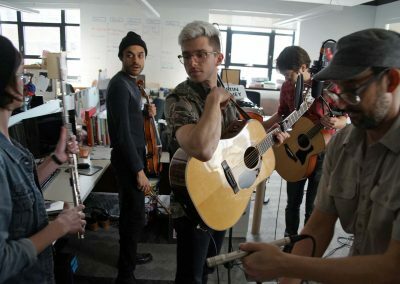 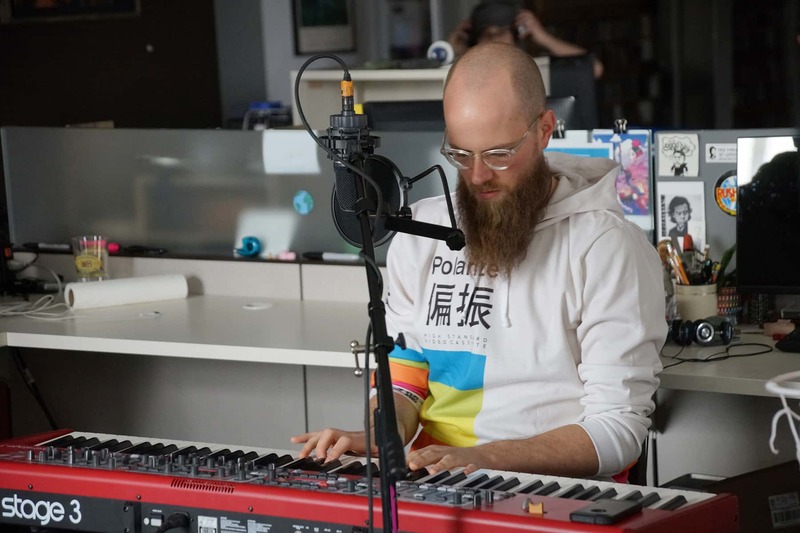 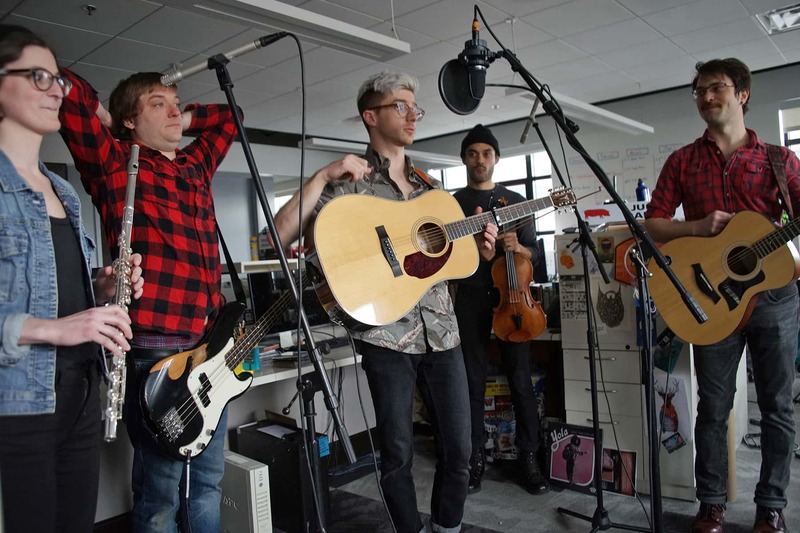 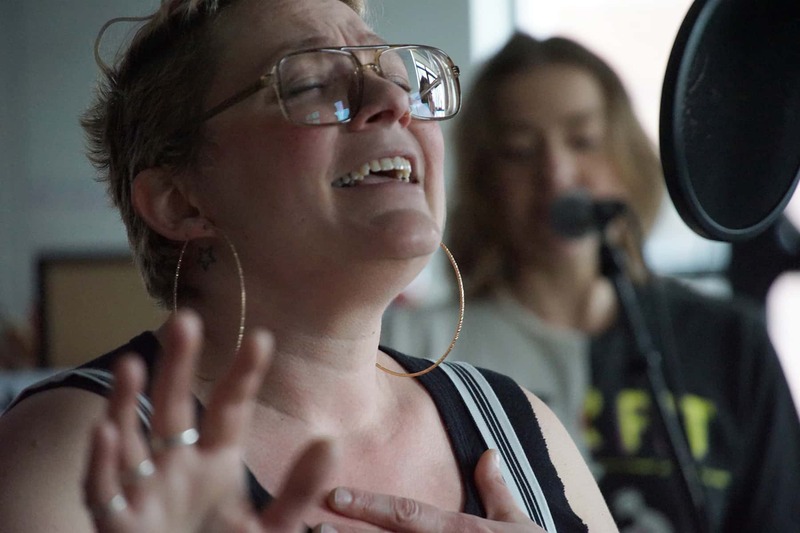 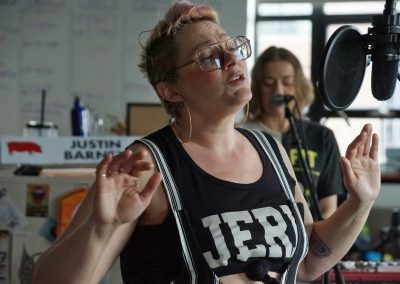 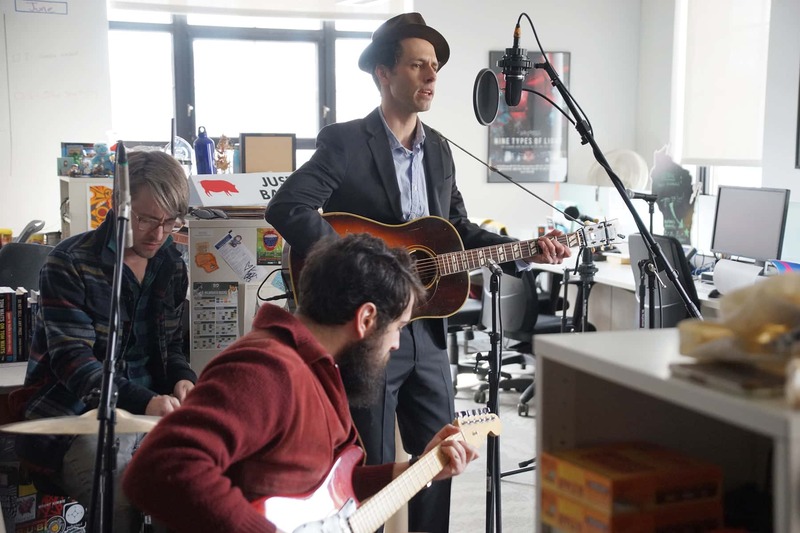 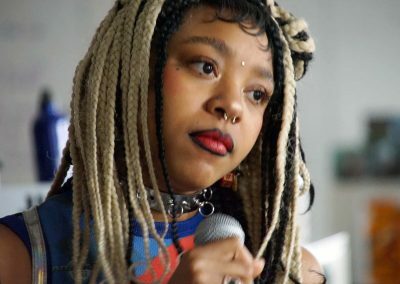 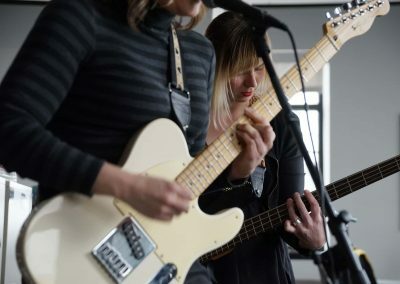 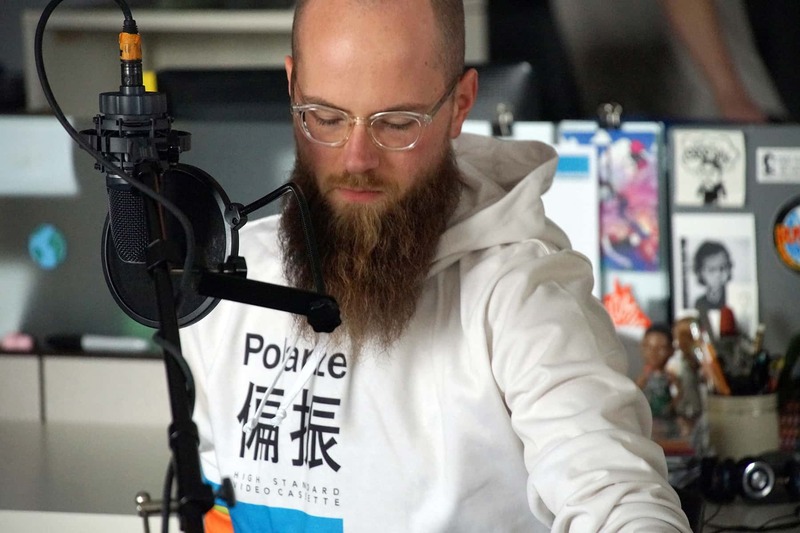 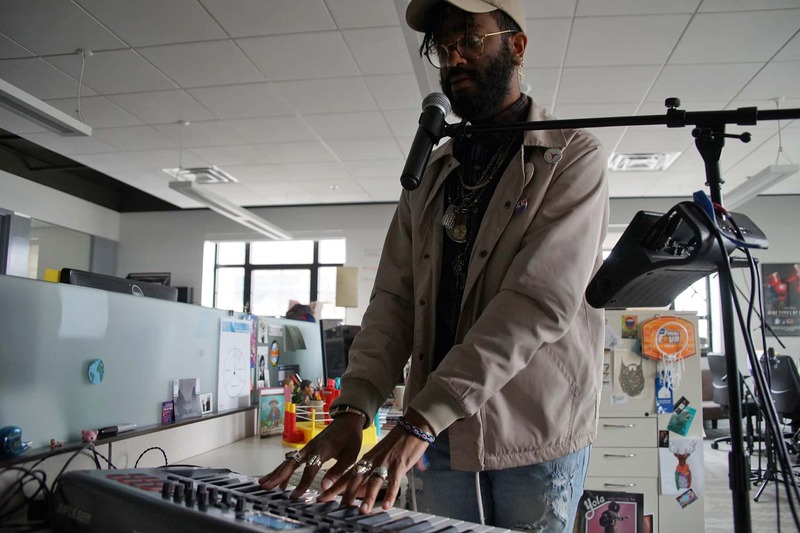 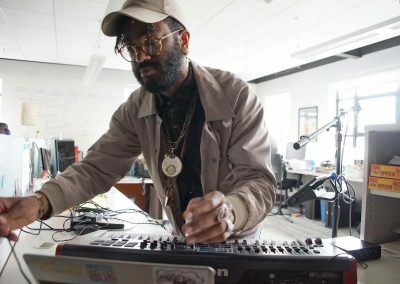 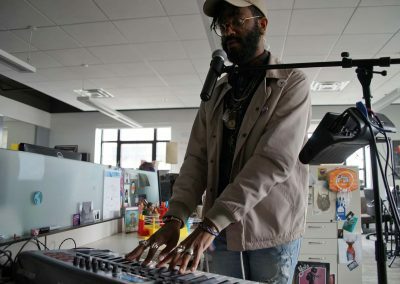 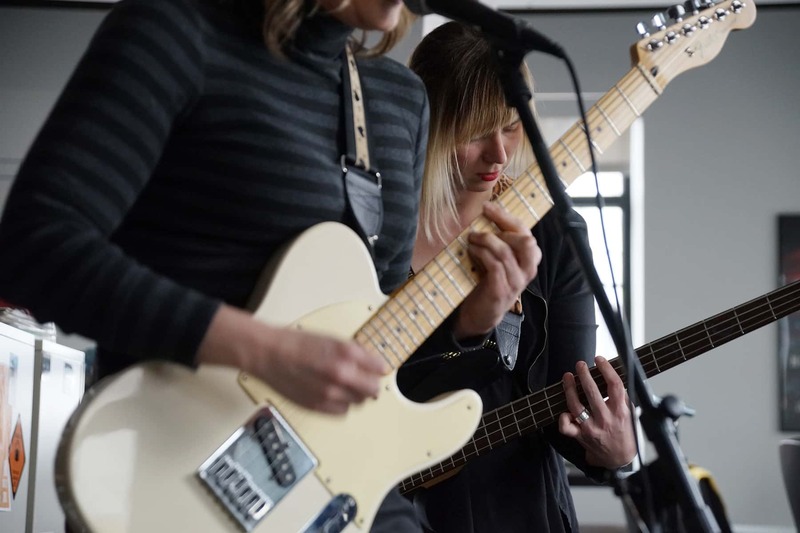 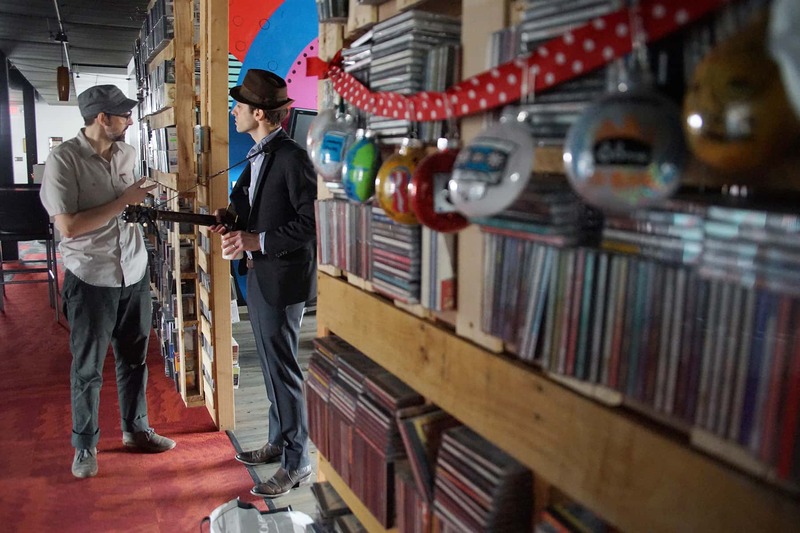 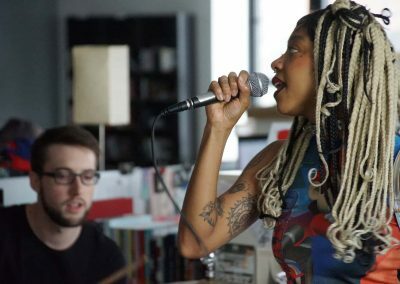 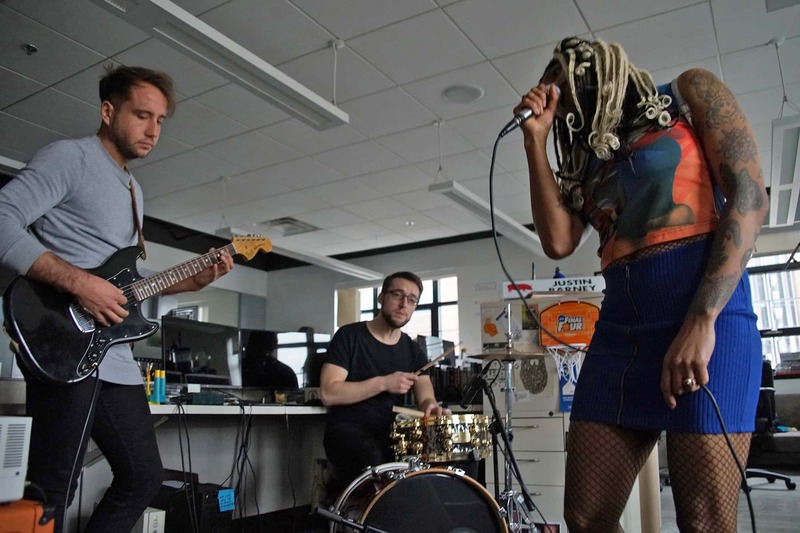 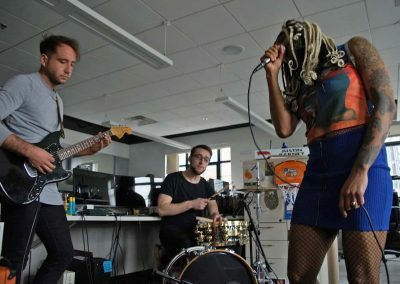 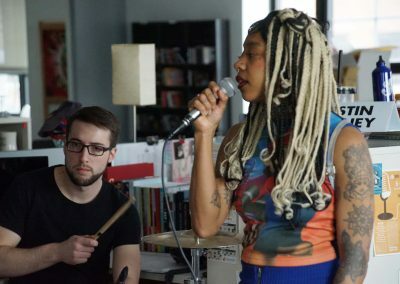 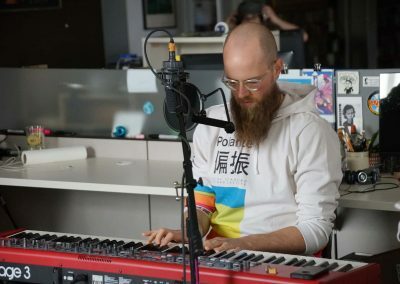 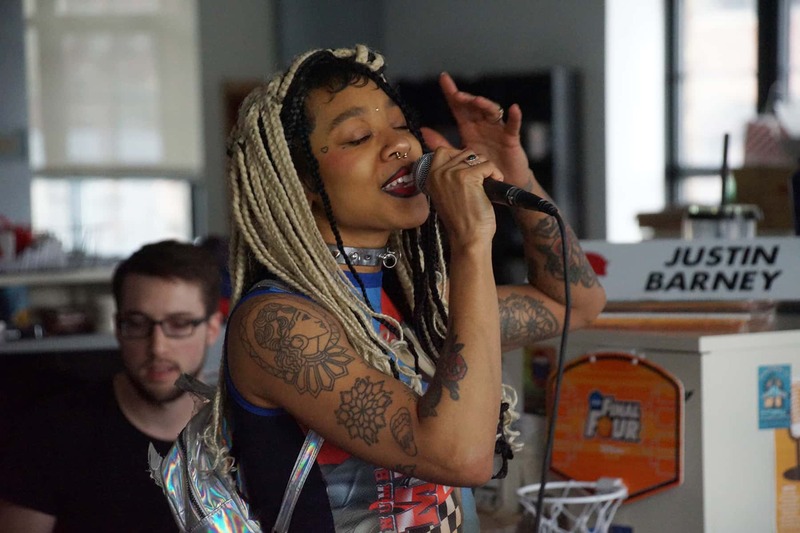 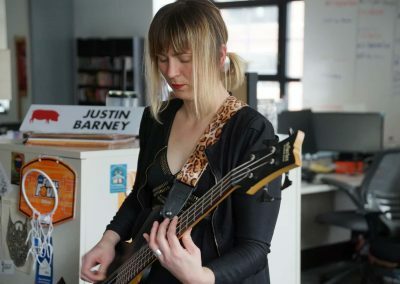 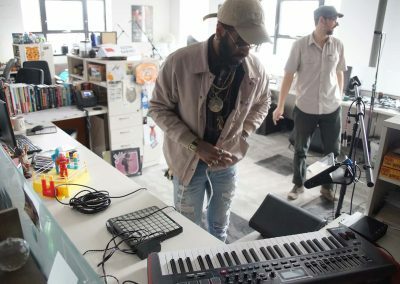 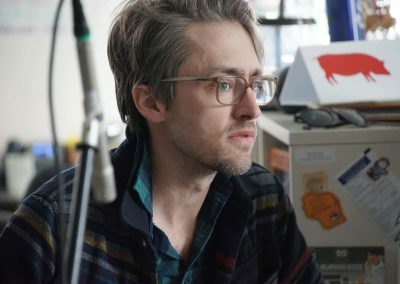 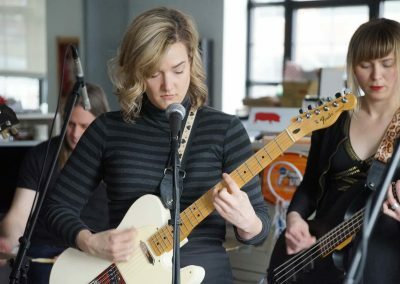 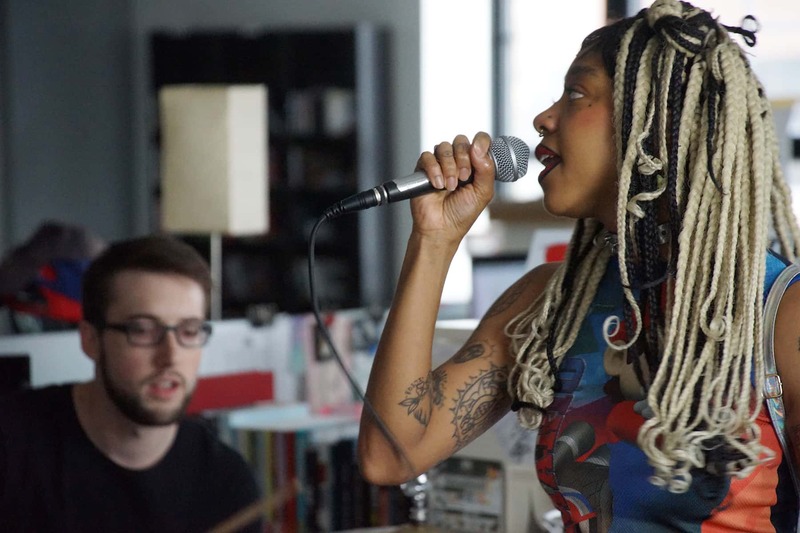 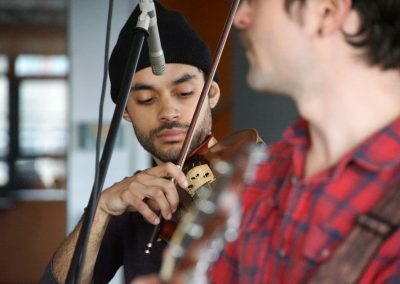 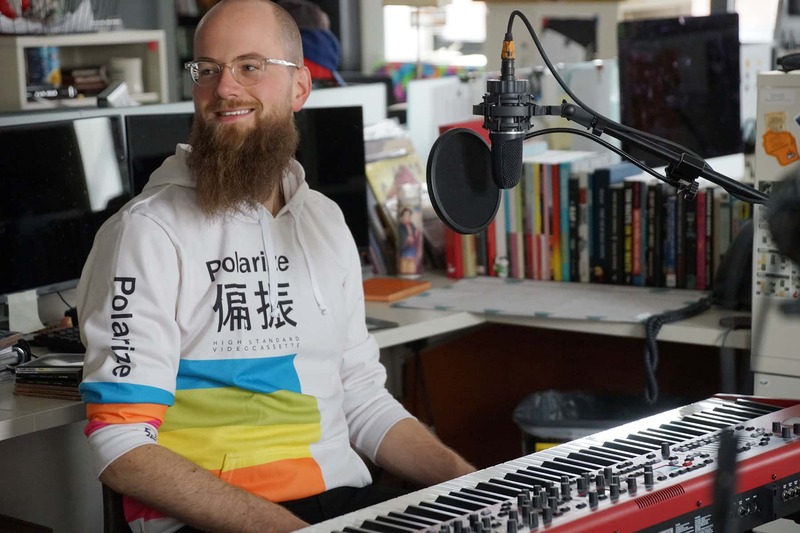 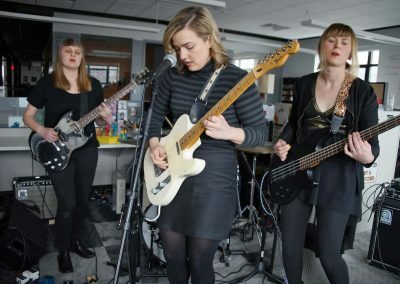 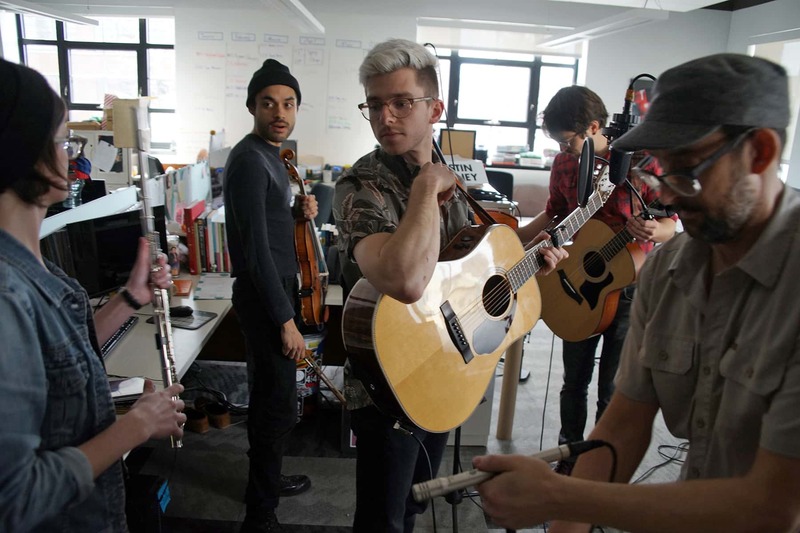 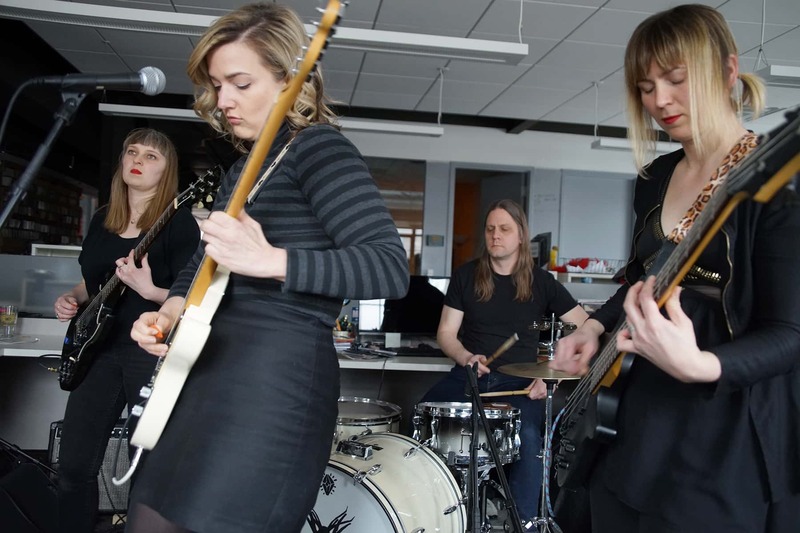 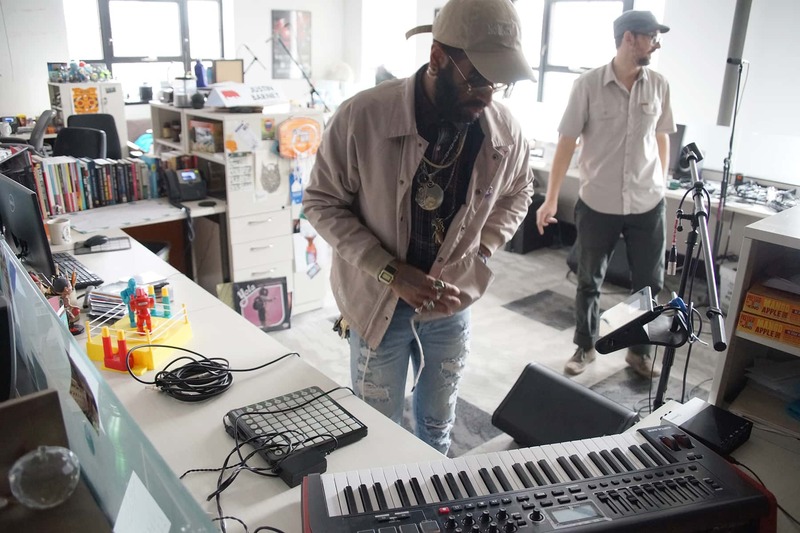 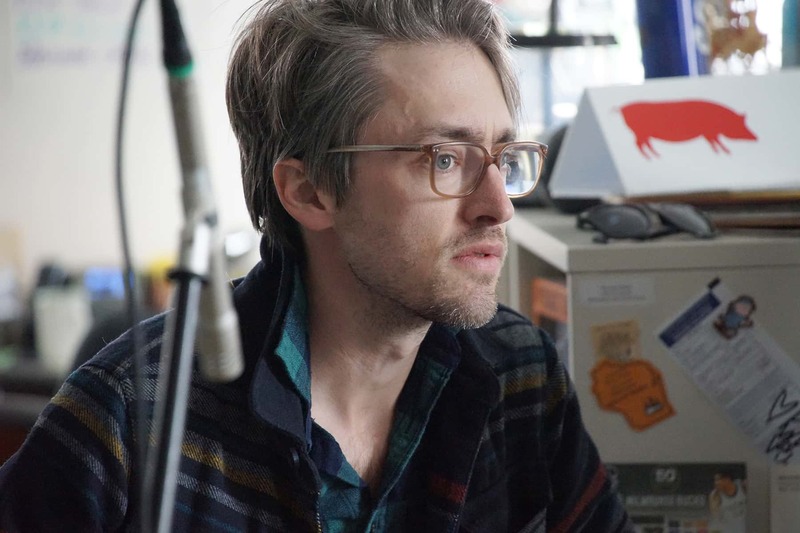 Since 2008, NPR Music’s Tiny Desk concert series has welcomed beloved musicians from across genres to play behind the desk of Bob Boilen, the show’s host. 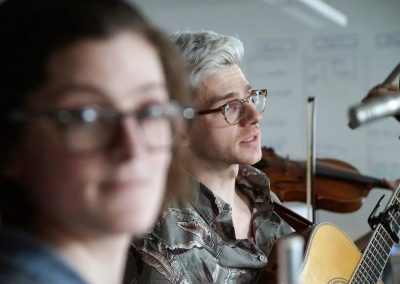 That playlist has included talents from Adele to Chance The Rapper, and from T-Pain to Yo-Yo Ma. 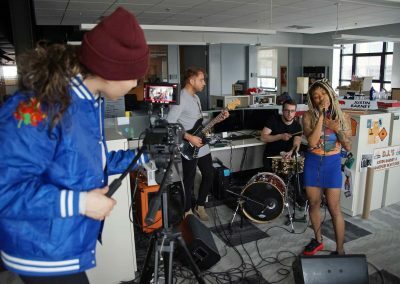 As much as the Tiny Desk platform is about celebrity, it is also about discovery. 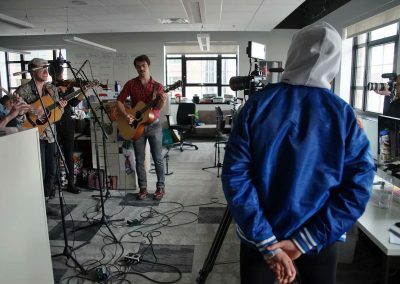 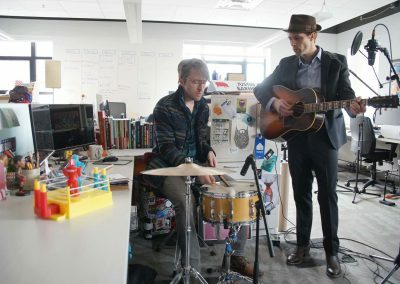 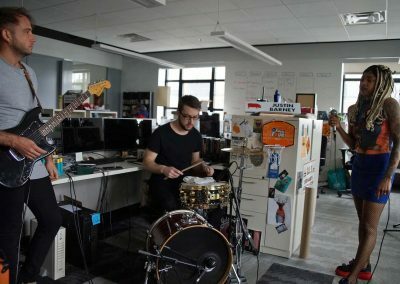 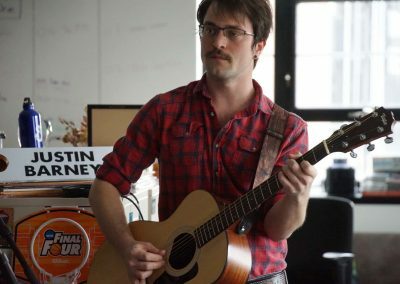 That inspired NPR to launch the Tiny Desk Contest, a nationwide search to find undiscovered musical talent to come play a Tiny Desk concert and go on tour with NPR Music. 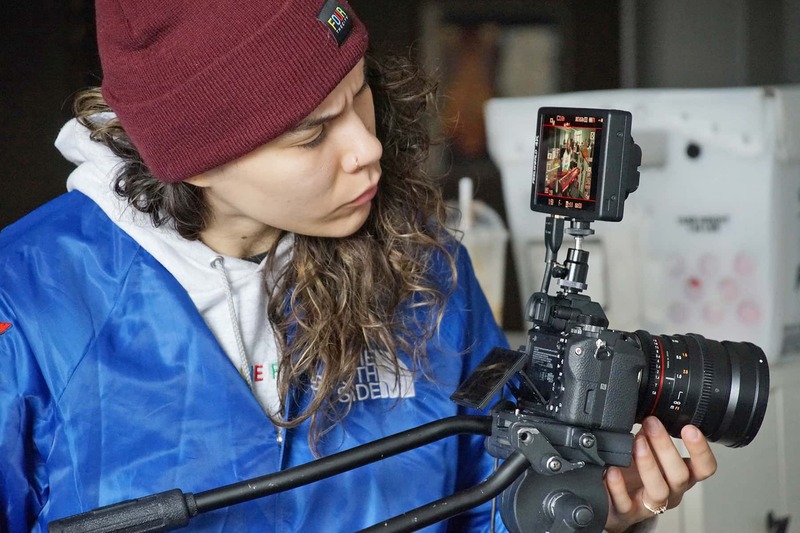 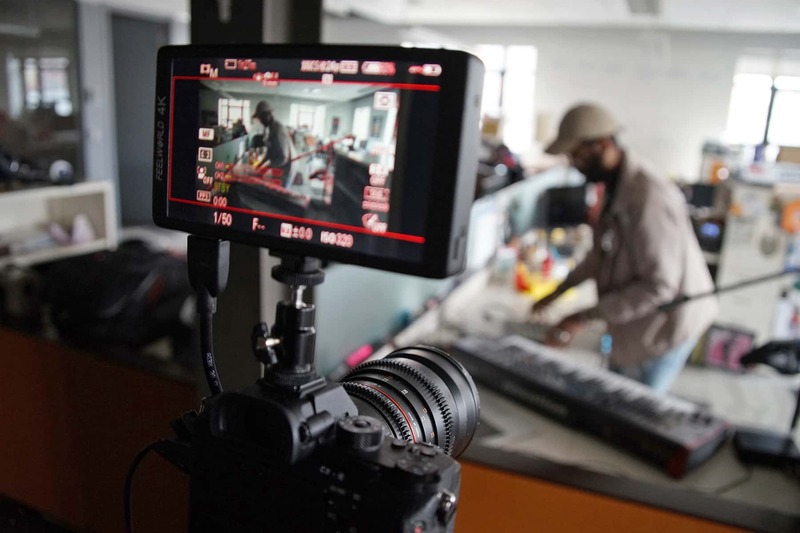 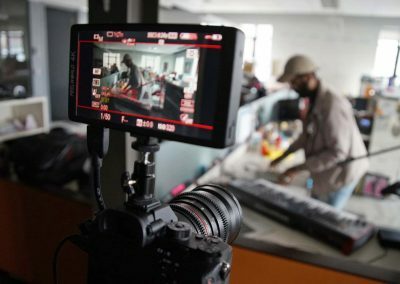 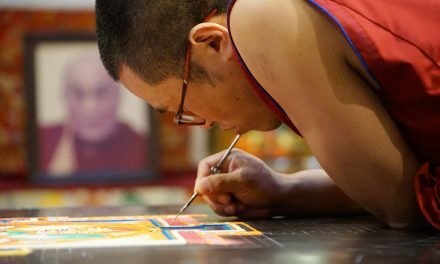 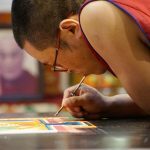 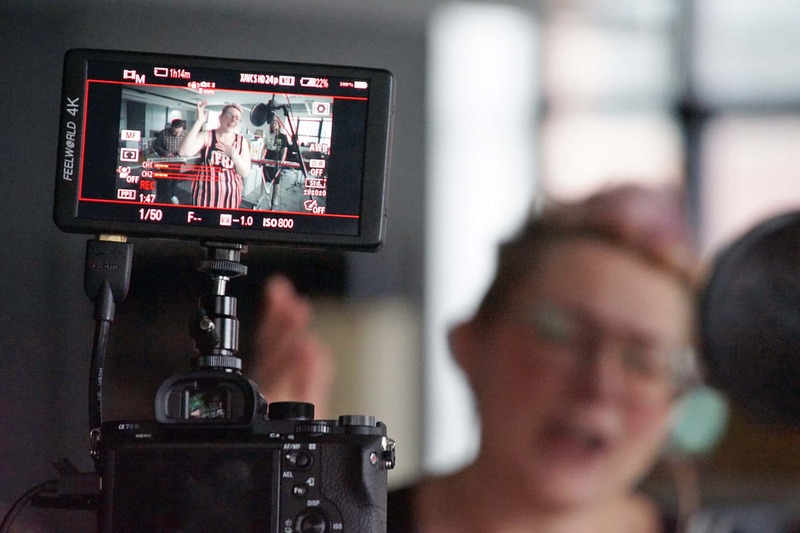 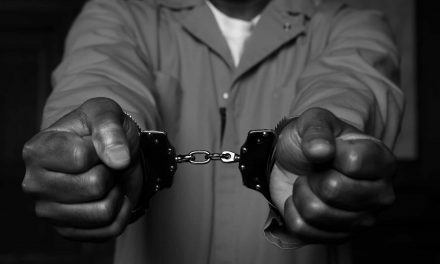 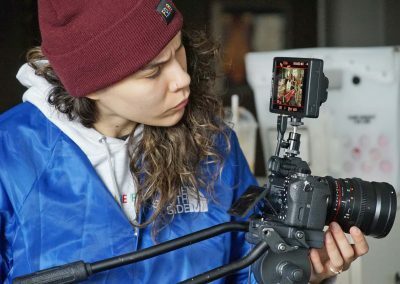 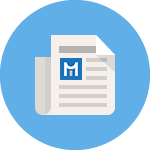 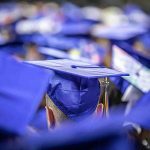 While the application process is straightforward, the video production can be more complicated than most artists realize. 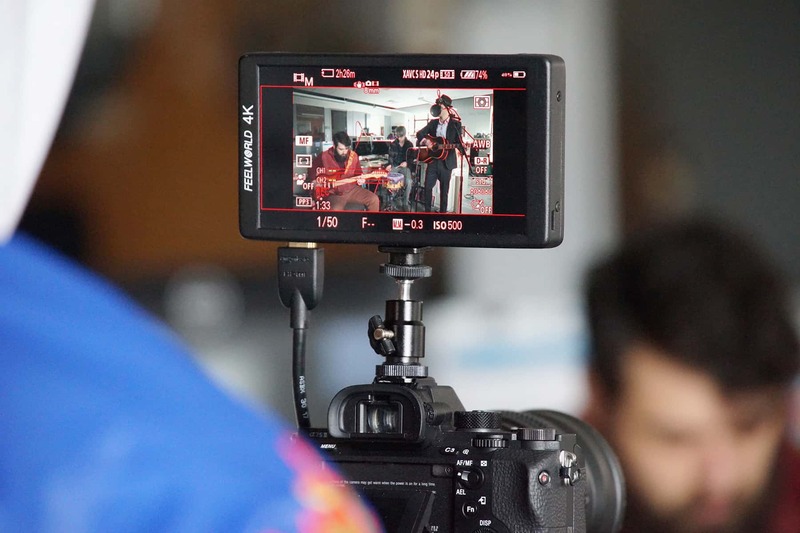 To enter, musicians must create a new video that shows their performance of an original song at a desk. 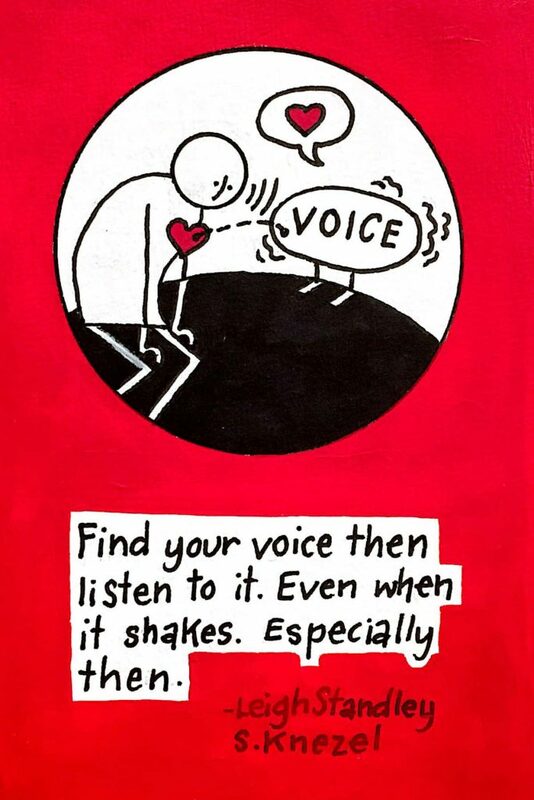 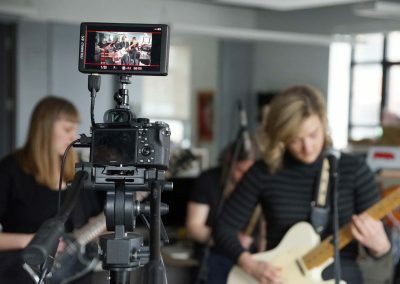 That requires not only a proper location, but resources to produce a video with good sound quality. 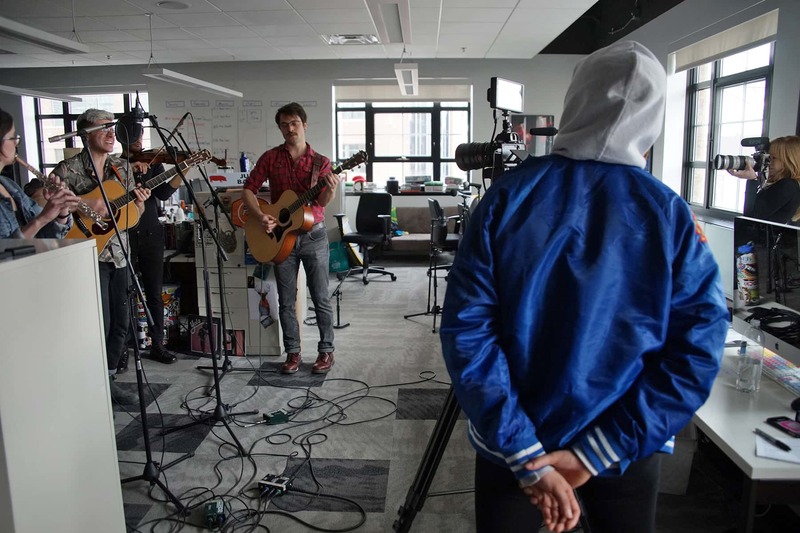 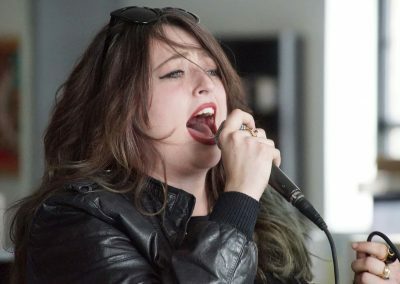 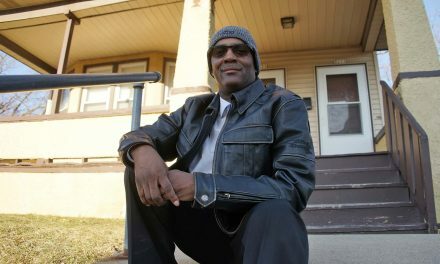 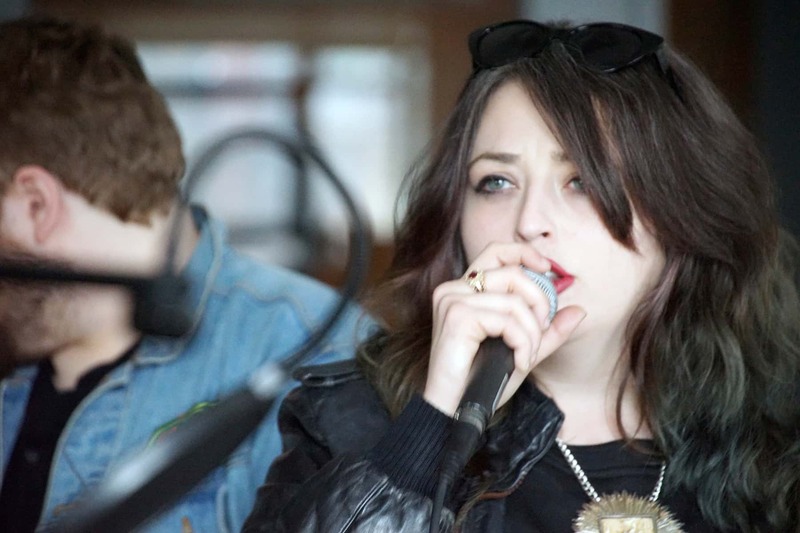 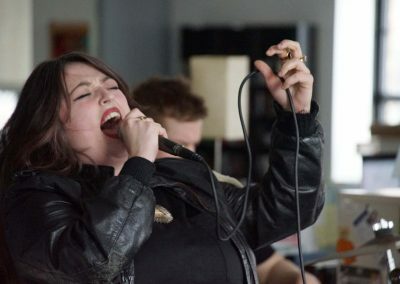 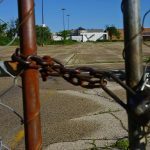 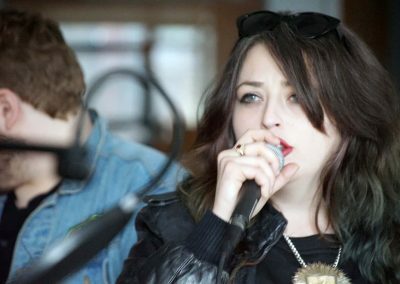 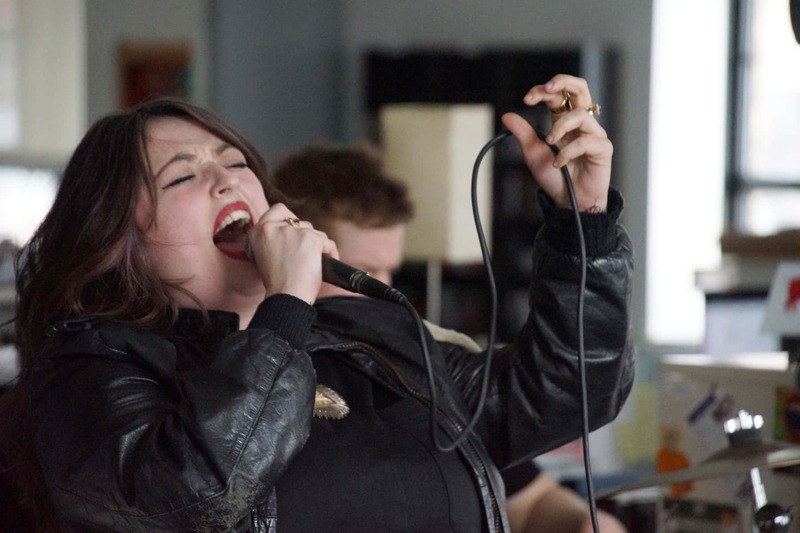 That was why 88Nine Radio Milwaukee decided to lend Milwaukee bands and solo artists a hand. 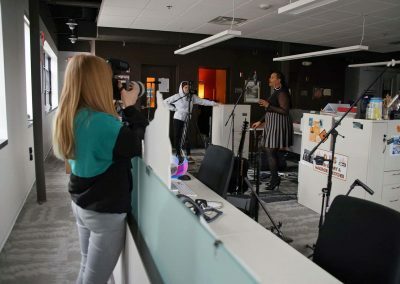 The station and its staff volunteered to help 10 groups record their song in order to submit a video entry. 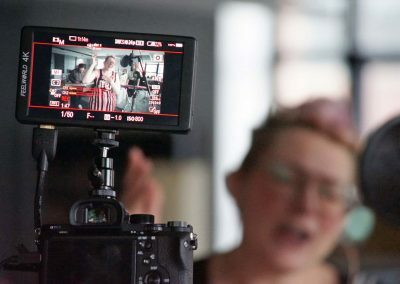 Award winning filmmakers Laura Dyan Kezman and Vianca Fuster produced the features, with Lodi Broekhuizen as the sound engineer. 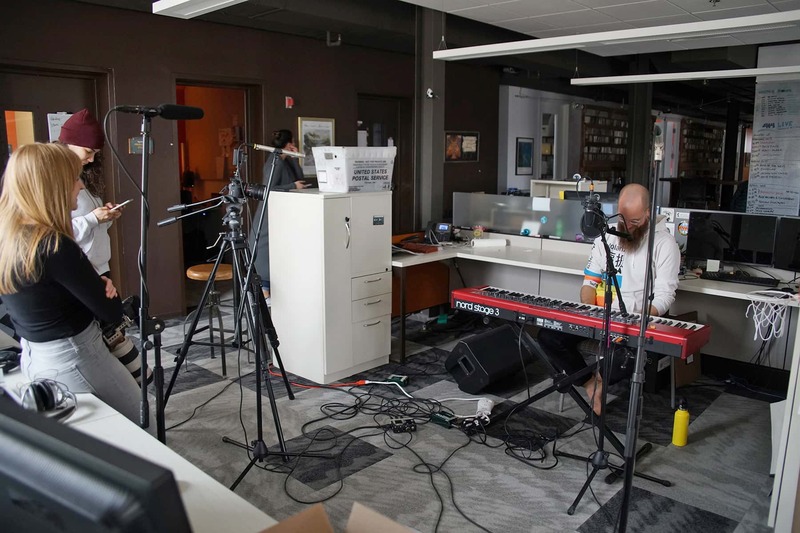 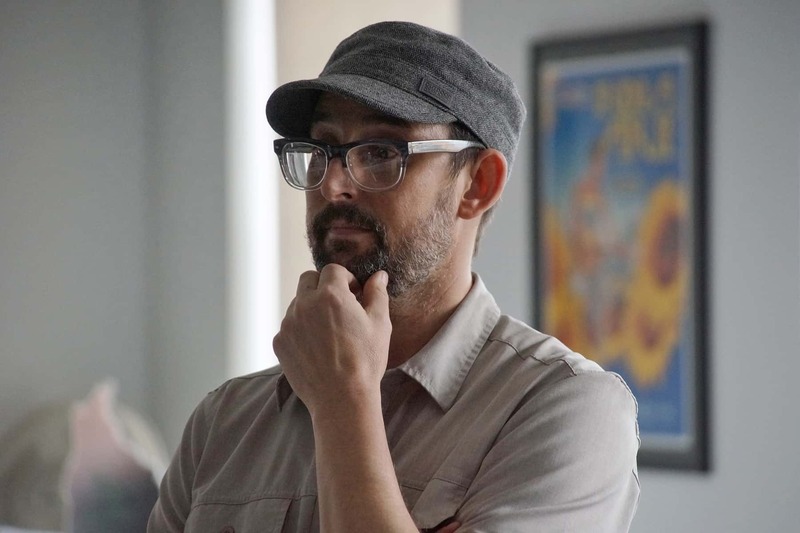 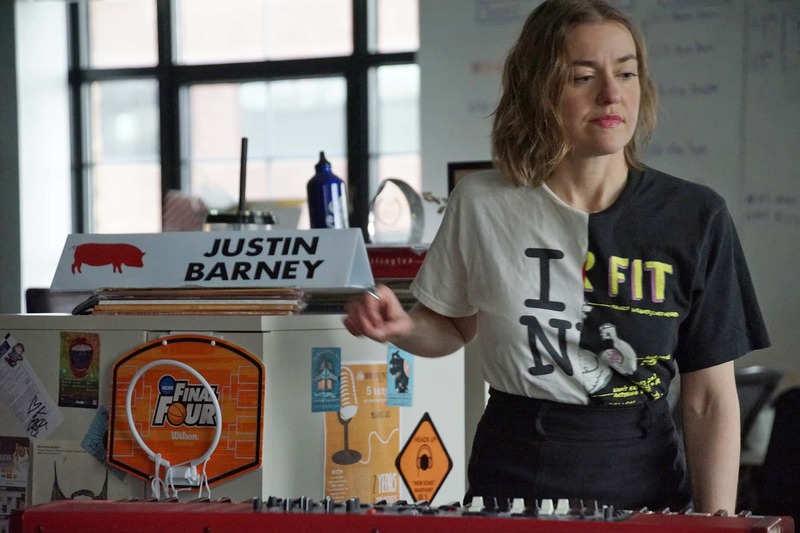 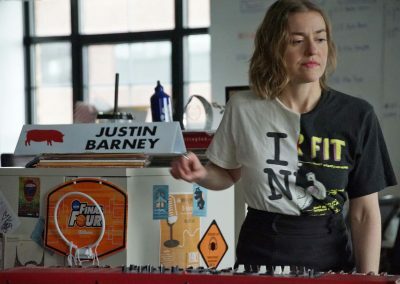 Music Director Justin Barney’s desk at 88Nine was used as the Tiny Desk location. 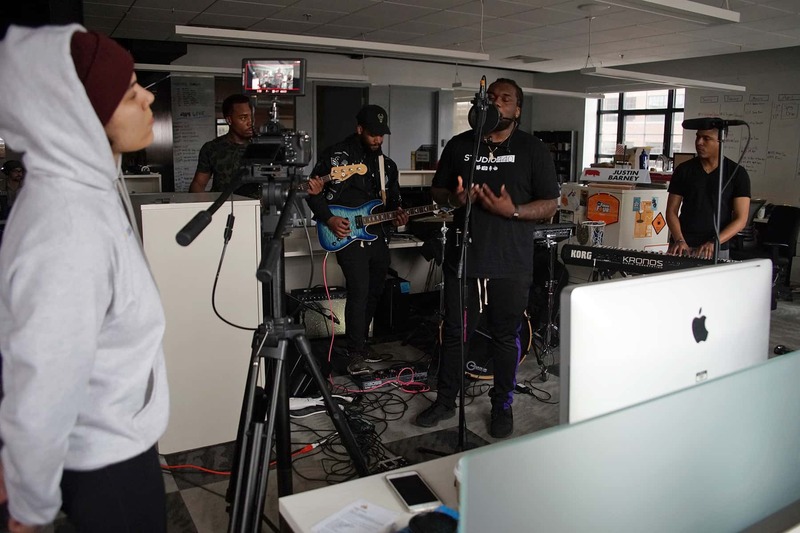 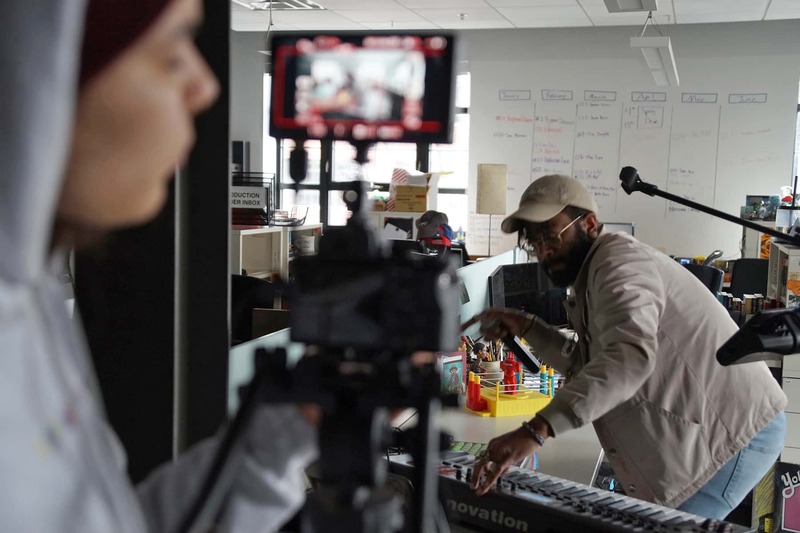 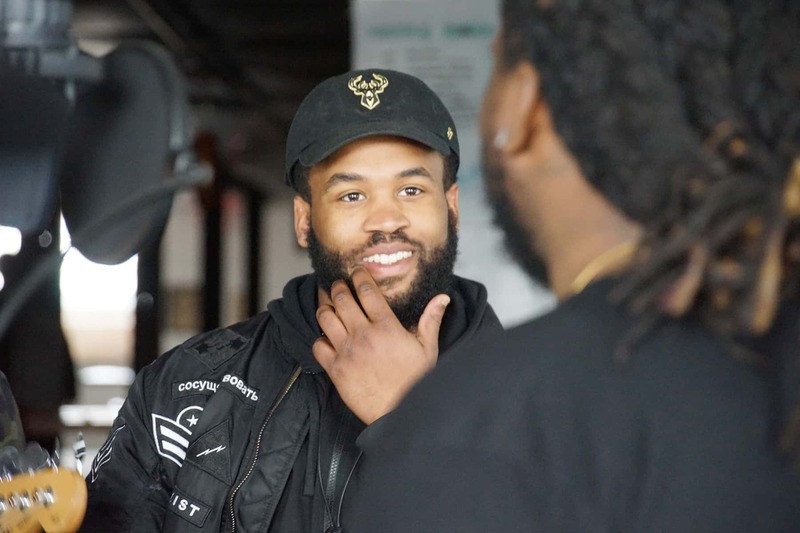 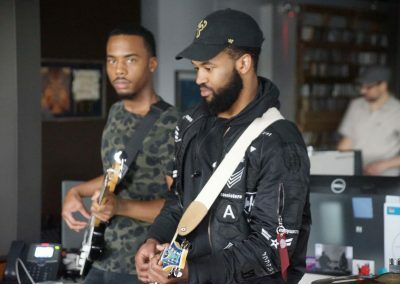 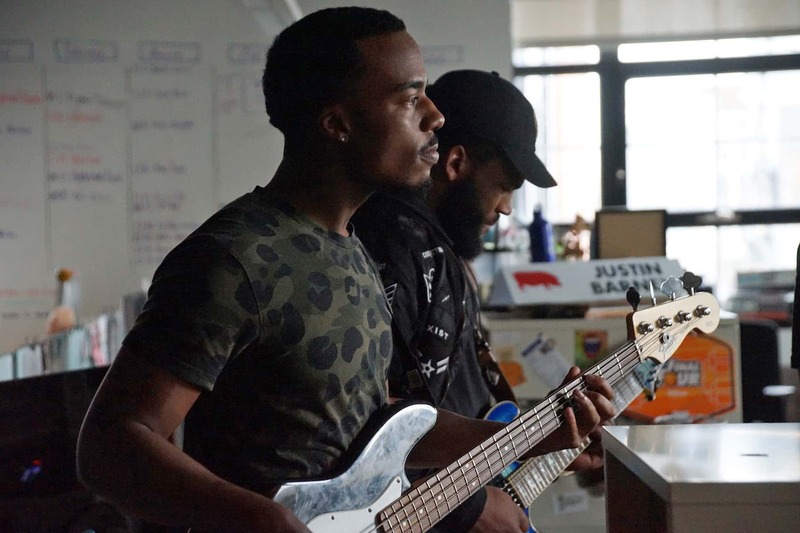 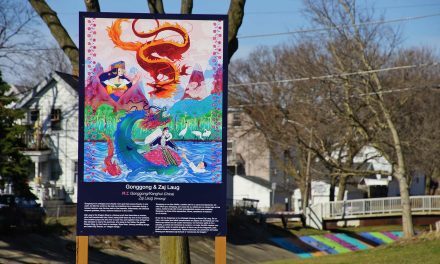 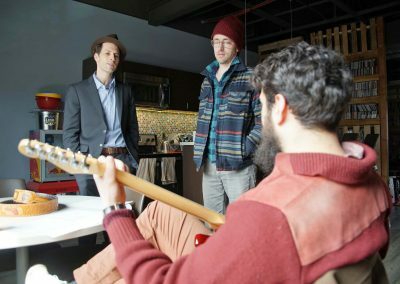 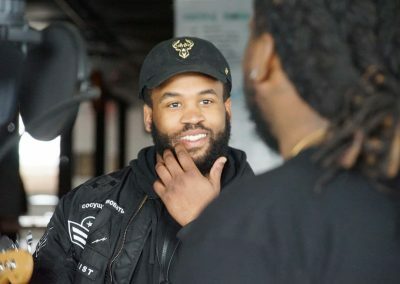 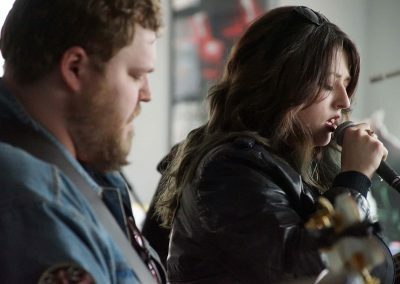 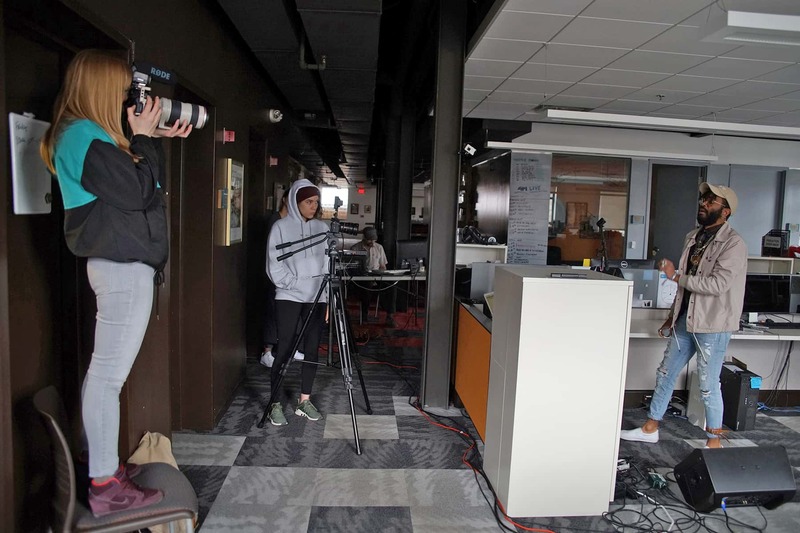 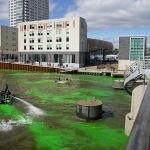 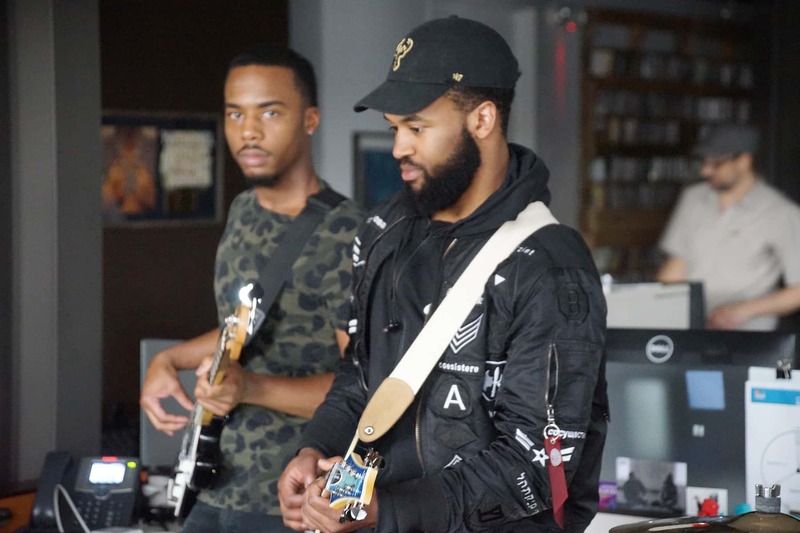 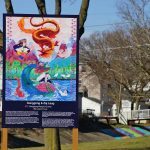 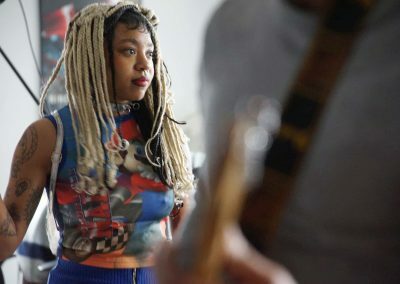 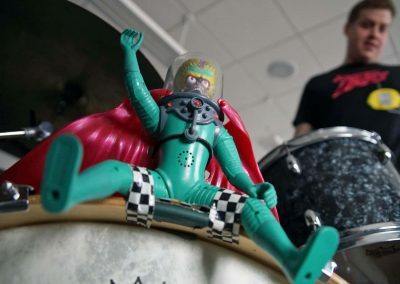 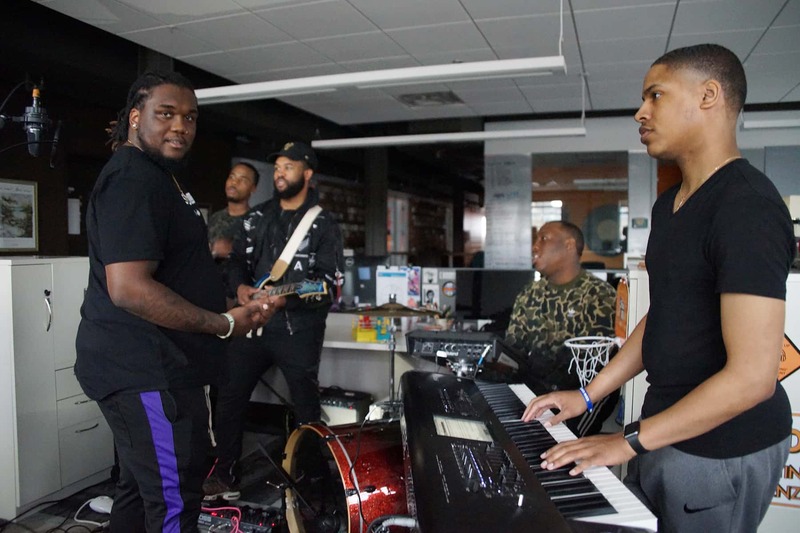 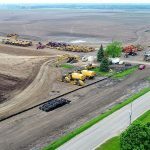 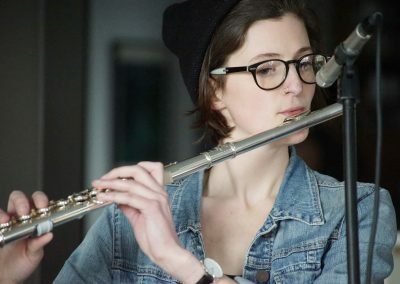 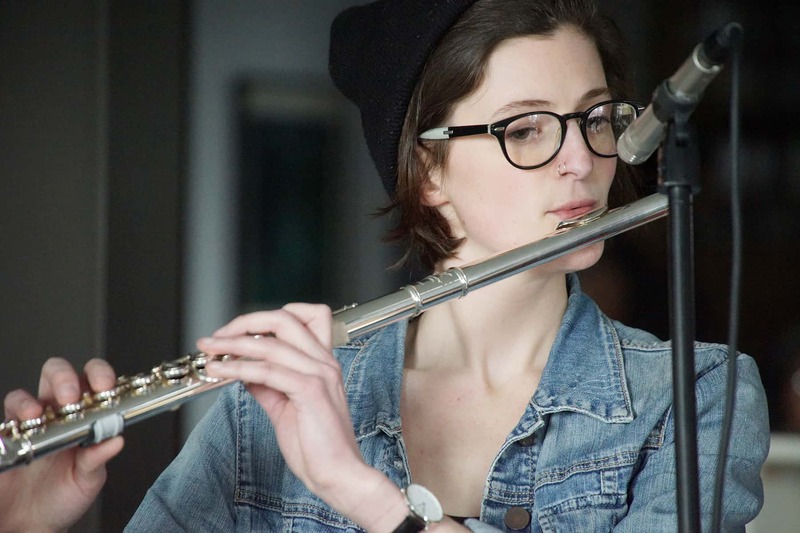 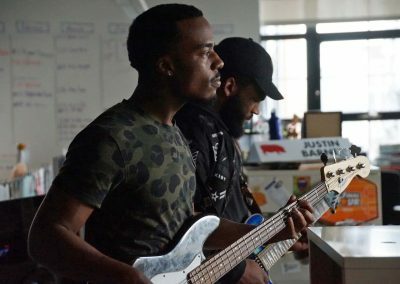 “Milwaukee has some of the best musicians anywhere, and we want to produce great videos for 10 of them so they have a shot at getting the national recognition they deserve,” said Jordan Lee, Program Director. 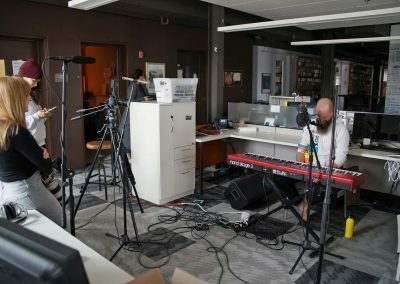 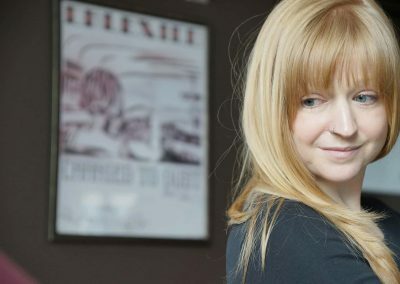 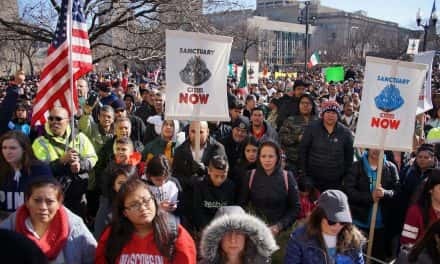 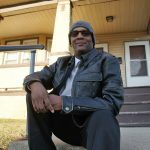 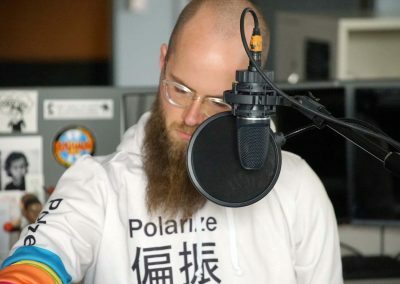 As a nonprofit and community-funded radio station, 88Nine Radio Milwaukee (WYMS-FM 88.9) has focused on supporting Milwaukee musicians since its 2007 launch. 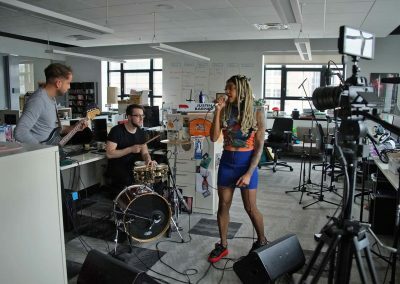 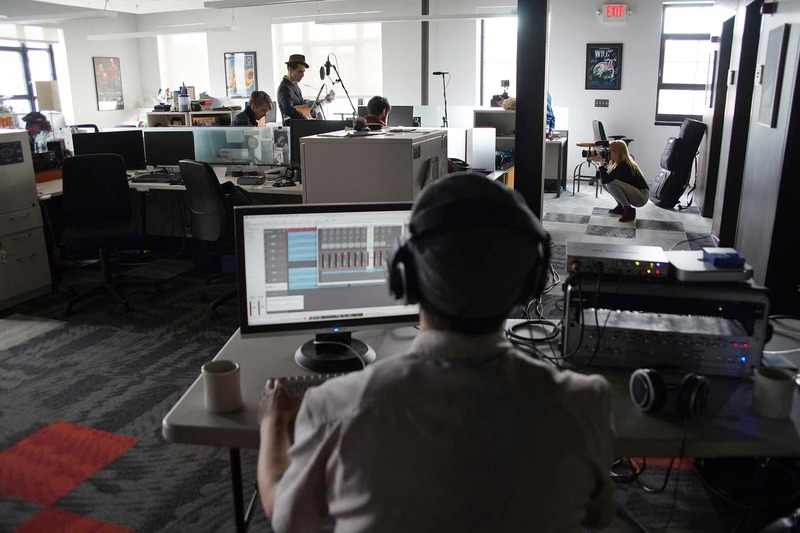 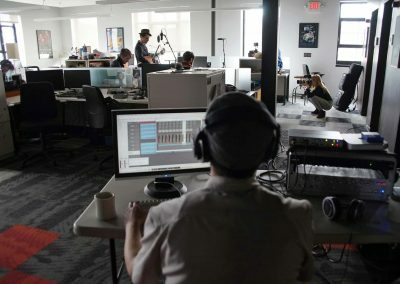 The programming team curated the 10 video sessions with the goal of representing the variety of Milwaukee’s music scene. 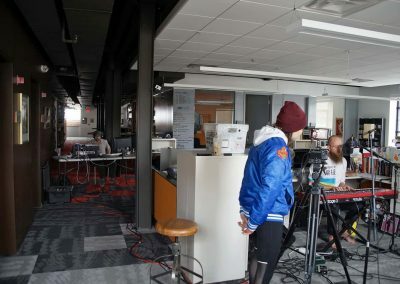 Performances each lasted a half hour and consisted of two takes. 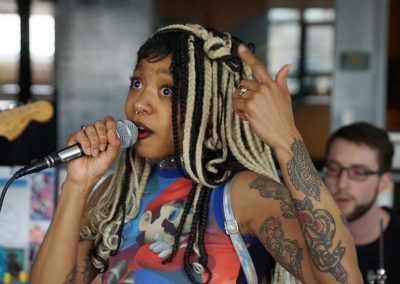 The participants included Father Sky, Matthew Davies, Neidhoefer, Zed Kenzo, Camb, Saebra & Carlyle, Fox Face, Klassik, Lauryl Sulfate + Her Ladies of Leisure, and Ms. Lotus Fankh. 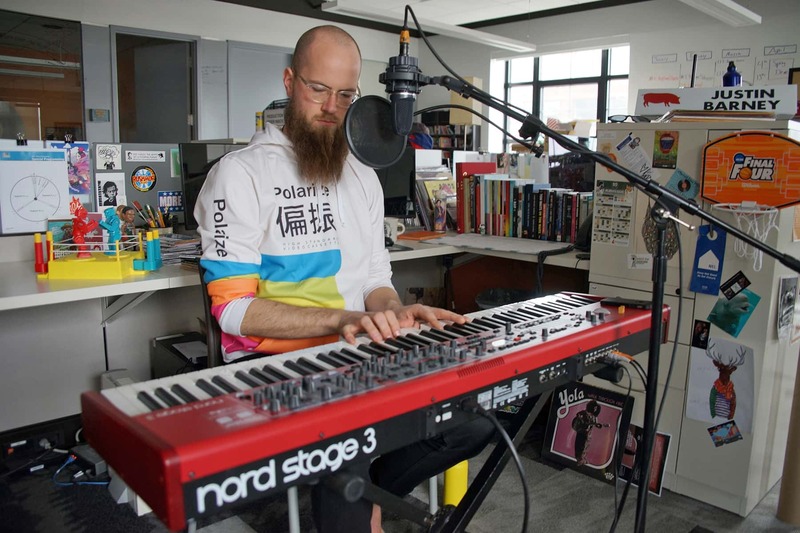 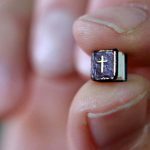 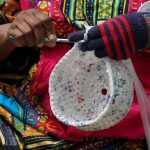 NPR’s contest deadline this year is April 14, and it has already seen stiff competition from standout entries by artists from around the country. 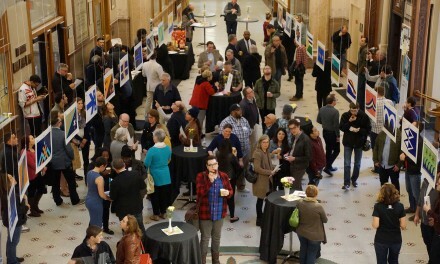 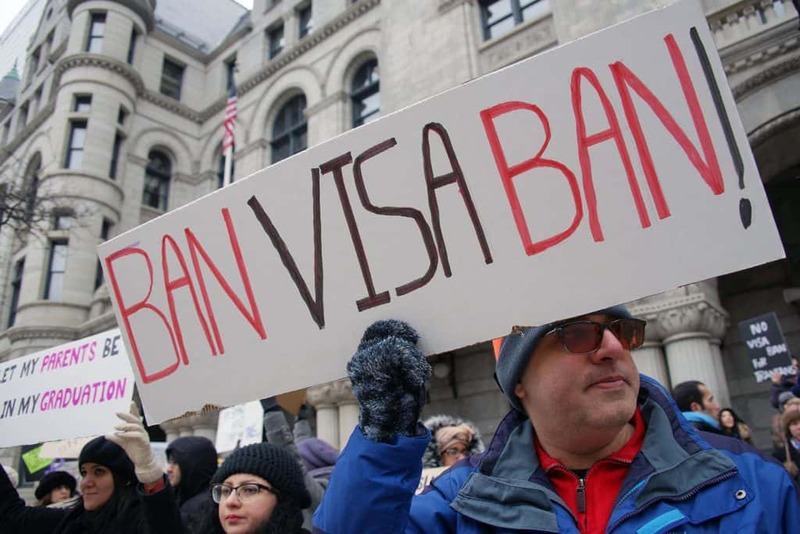 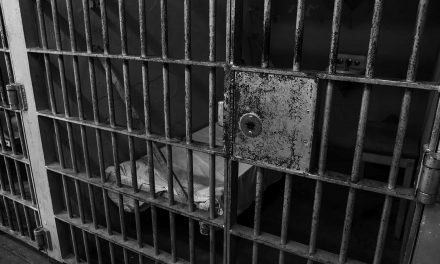 The judging period is scheduled to begin on or about April 15. 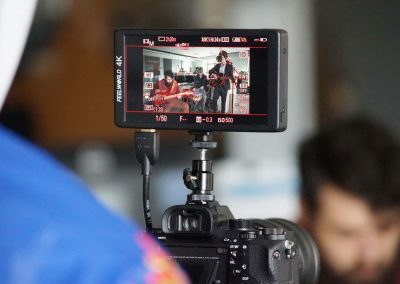 Videos will be judged based on the following criteria, 40% musical quality and appeal, 40% originality, and 20% stage presence and charisma. 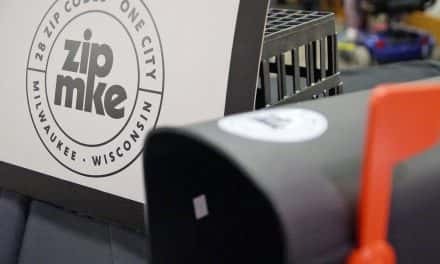 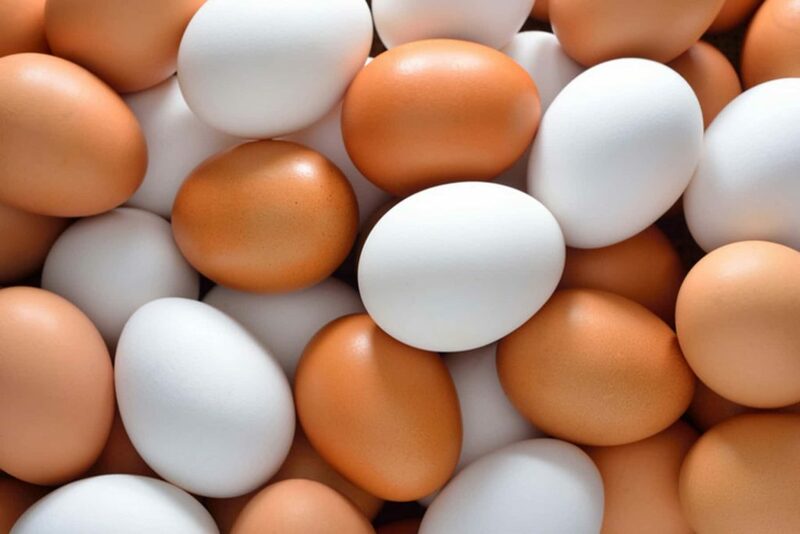 The Grand Prize winner will be notified by eMail on or about May 10. 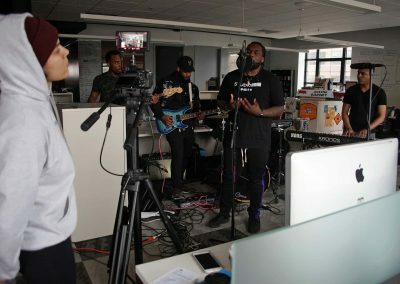 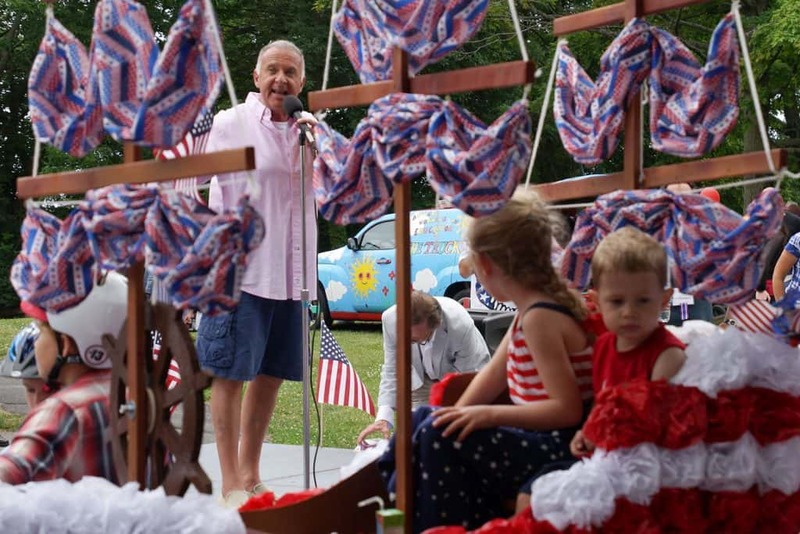 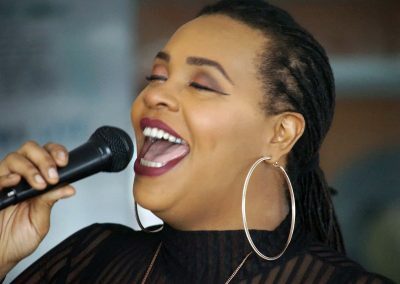 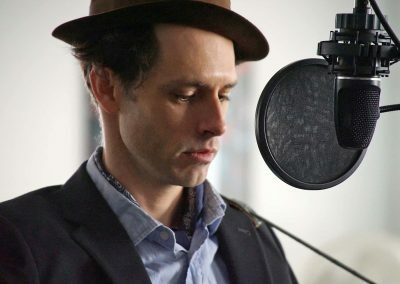 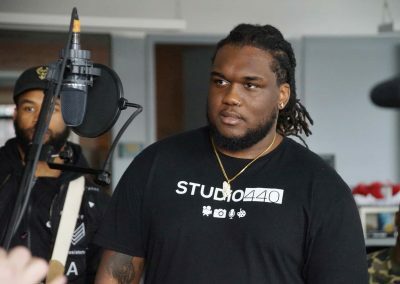 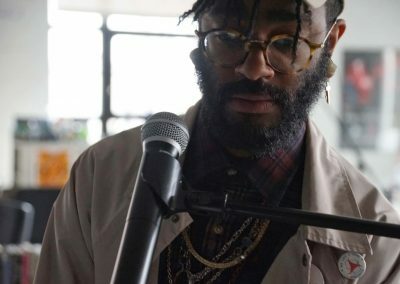 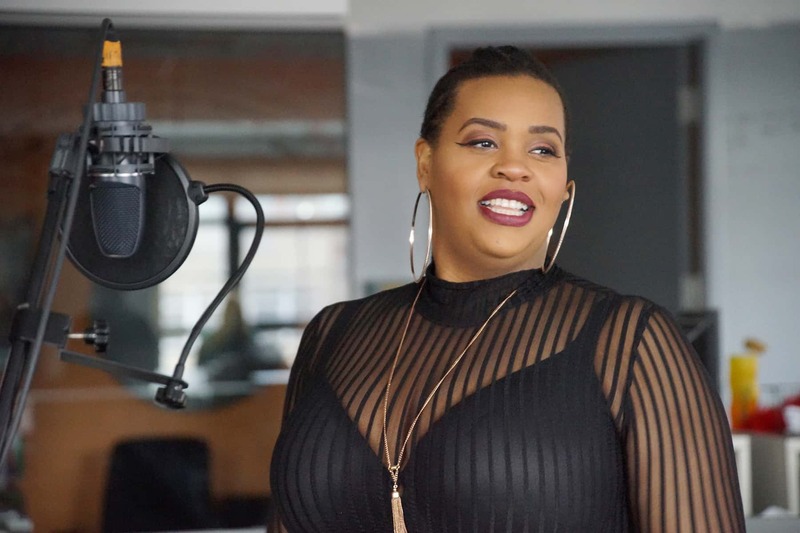 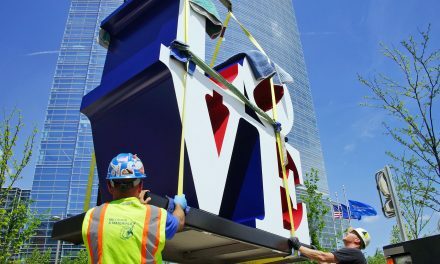 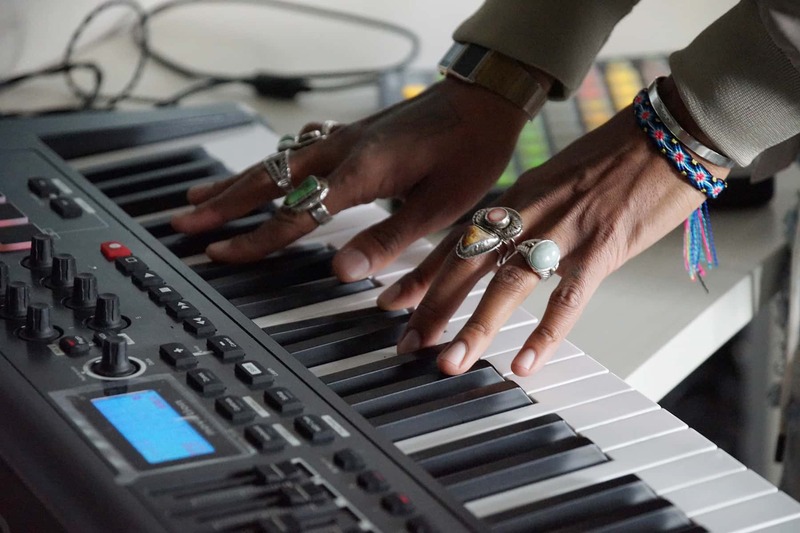 The Grand Prize winning artist will have the opportunity to appear live at NPR’s headquarters in Washington DC on May 28 and perform the song played in the contest video. 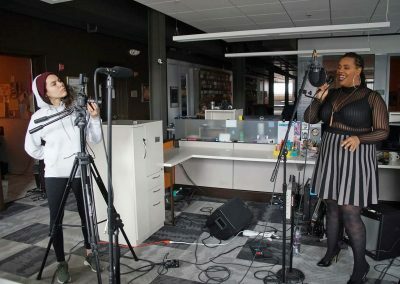 That performance will then be produced and distributed as part of NPR’s Tiny Desk series. 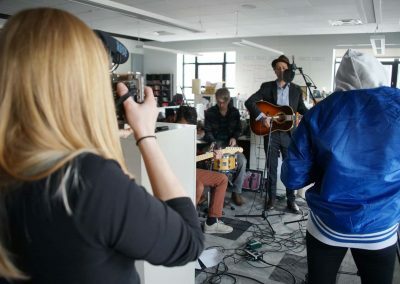 The winner will also attend NPR Music live events at venues in Los Angeles, New York, Austin, and Seattle between June and July.